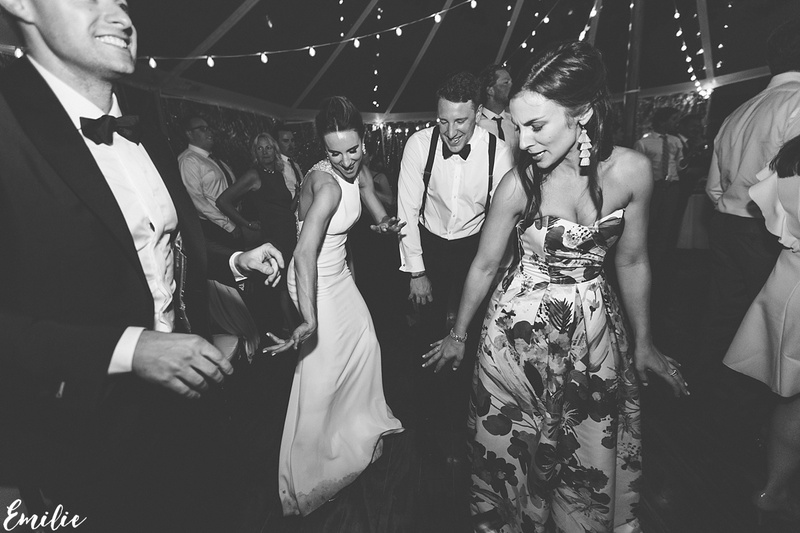 Julie & Ryan - Emilie Inc.
Ryan and Julie met in 2014 on the rooftop of a popular downtown Manhattan hotel at a party hosted by mutual friends who, at the time, had their own event planning company and threw an annual party on the first weekend of May that celebrated both the Kentucky Derby and Cinco de Mayo – called Cinco de Derby. 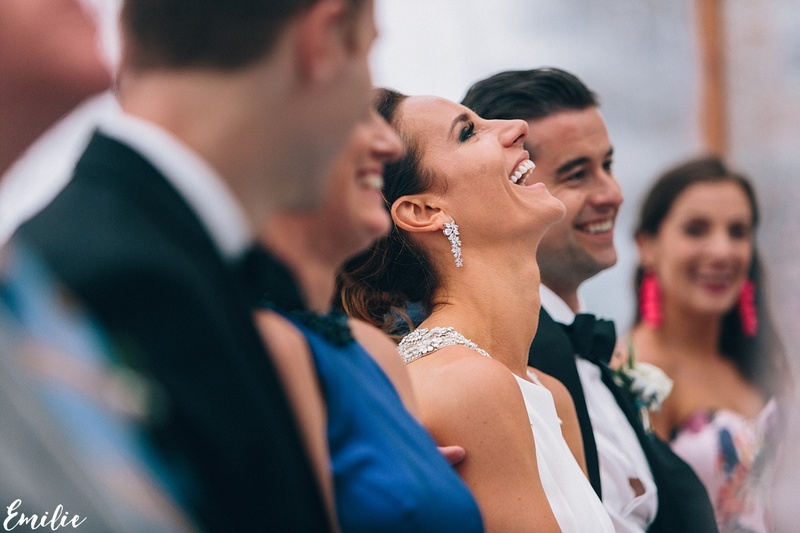 Julie had just flown back into town from a three week backpacking trip in Southeast Asia, so she came to the party late and by herself, and caught Ryan’s eye while waiting at the bar for her friends. 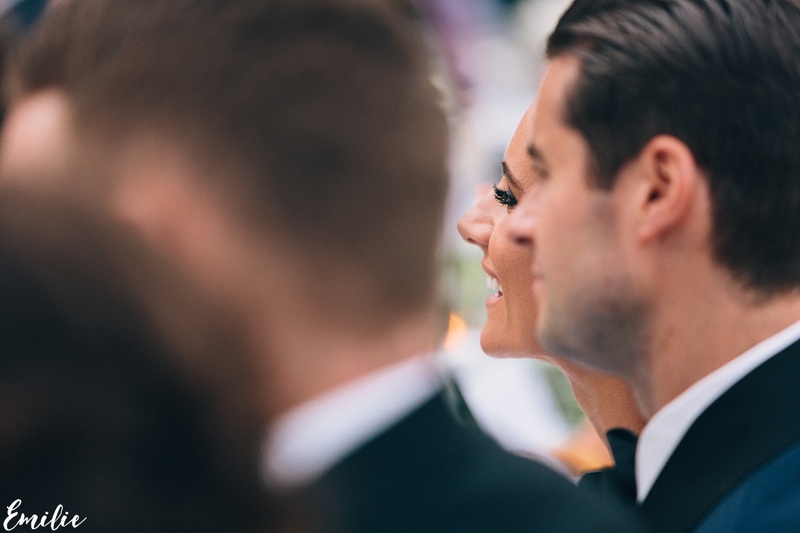 She introduced herself to him saying he “looked familiar” – a line she swears was just the truth and not a pick up line. 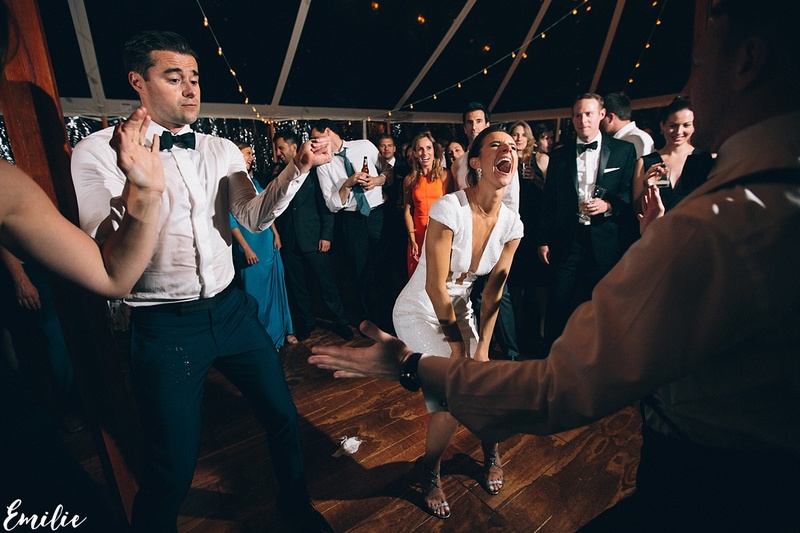 (Turns out they were both at the same party at another mutual friend’s apartment months earlier for Saint Patrick’s Day.) 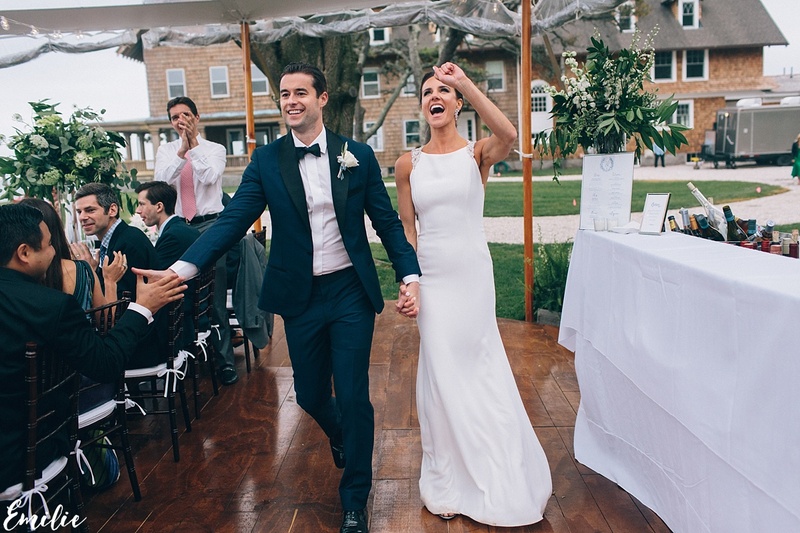 They chatted, Ryan asked for her number, and they went out on their first date three days later, to the Waverly Inn in the West Village. 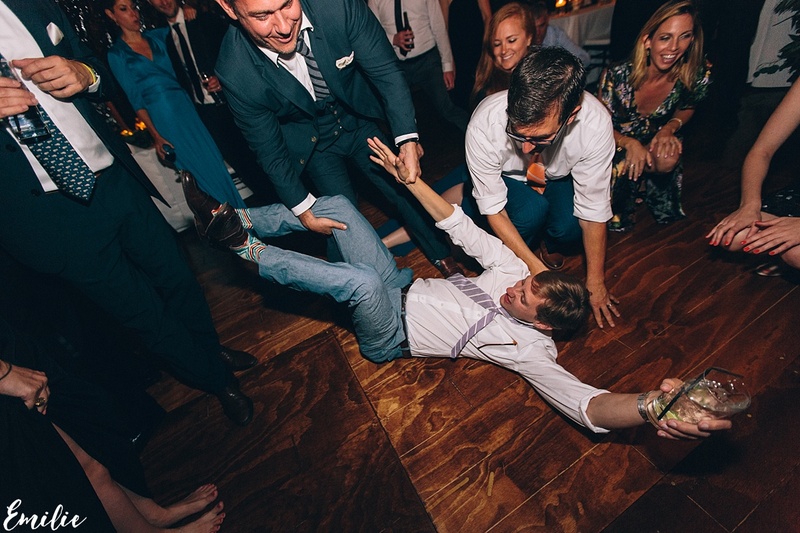 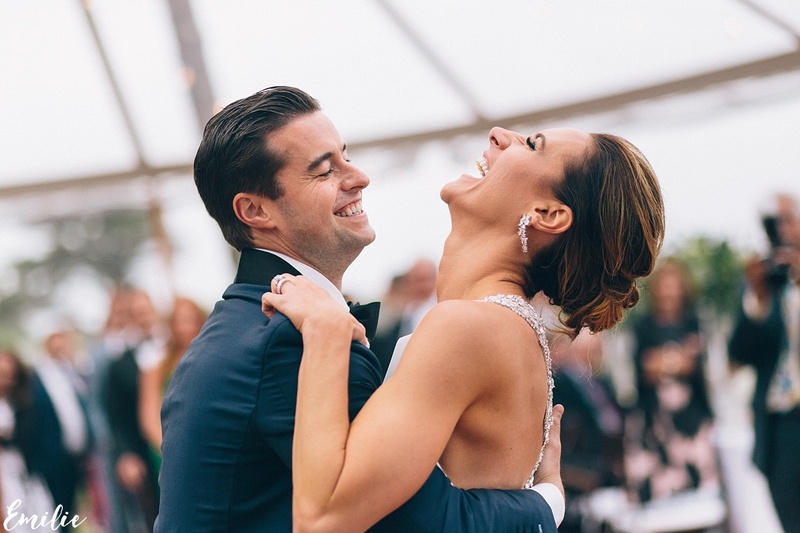 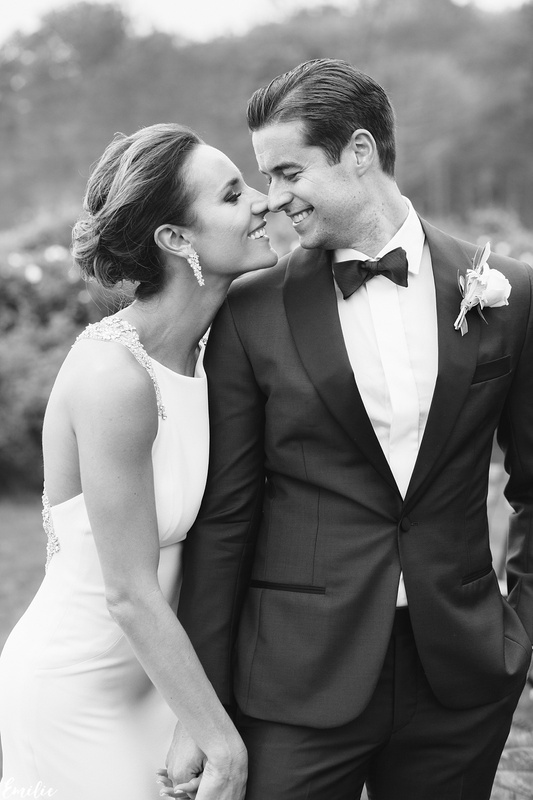 They quickly became inseparable – running the 2014 NYC Marathon together, deciding to get a puppy which they named Tilly, and traveling the world with trips to Costa Rica, Croatia, Rio de Janeiro, Montauk, Malibu, Miami, Paris, before Ryan proposed in 2015 while on a New Year’s Eve trip to Cartagena. 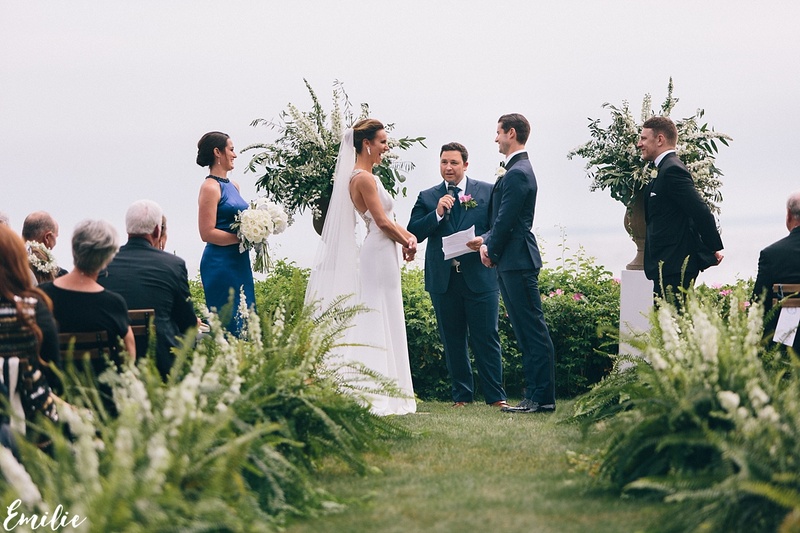 He had made sure to ask her father, and both of her younger brother’s permission while at Julie’s parents house in Connecticut for Christmas, and with their resounding support, he got down on one knee on the historic fortress wall that surround the Old Town and overlooks the Caribbean Sea to ask for Julie’s hand in marriage. 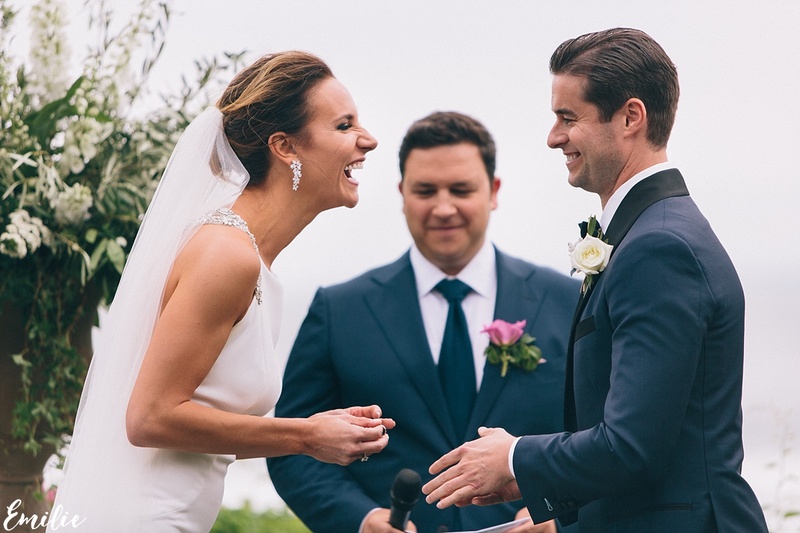 It’s a running joke that she cried for what seemed like forever before she finally said yes, and before Ryan finally asked if she would like to see the ring? 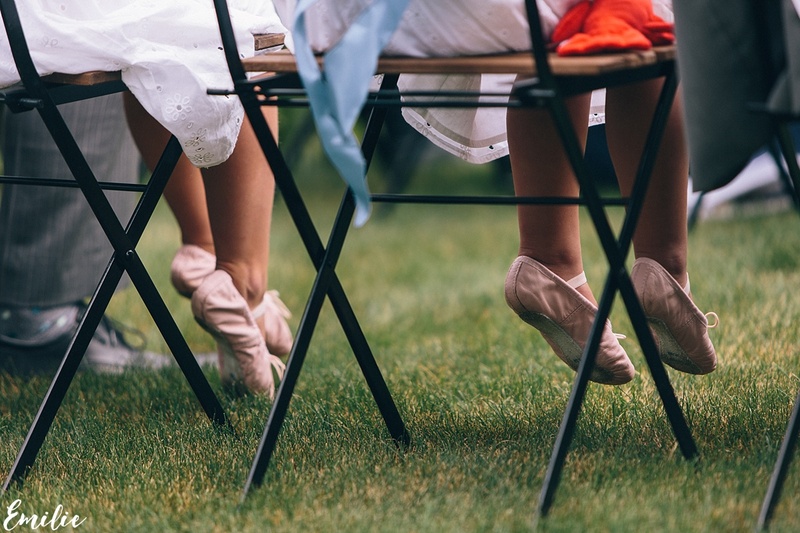 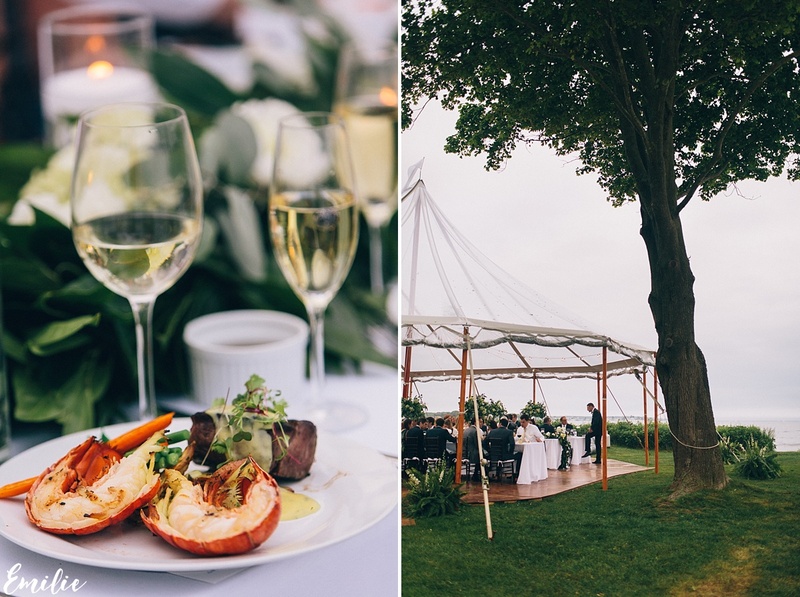 It’s also a running joke that later at a very intimate dinner in the courtyard of a chic boutique hotel, they ordered the lobster even though neither of them are very fond of shellfish and shut down the restaurant in their revelry. 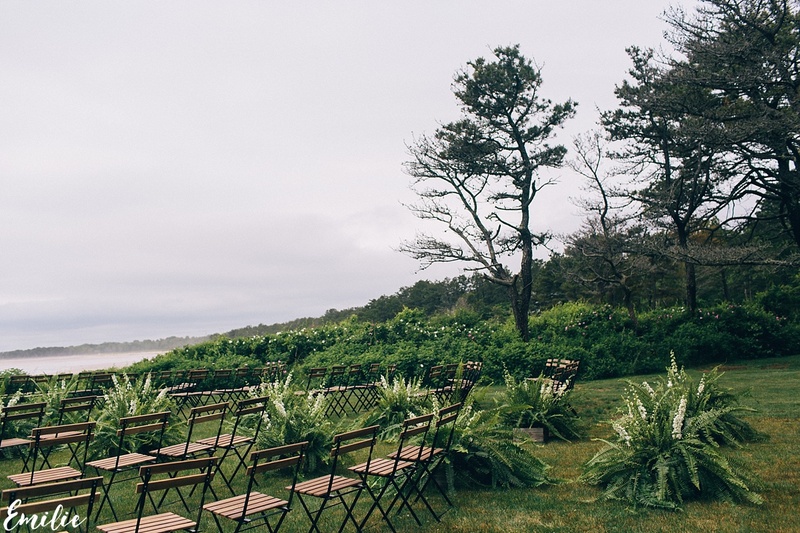 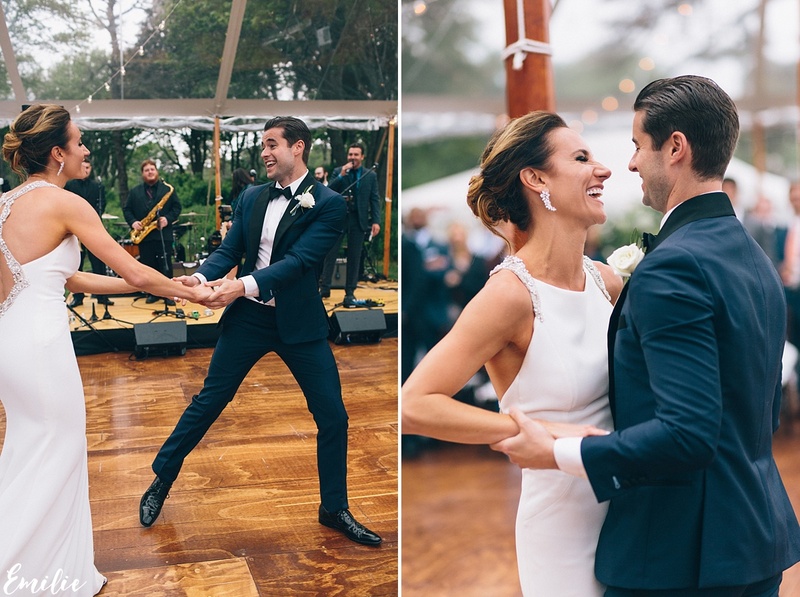 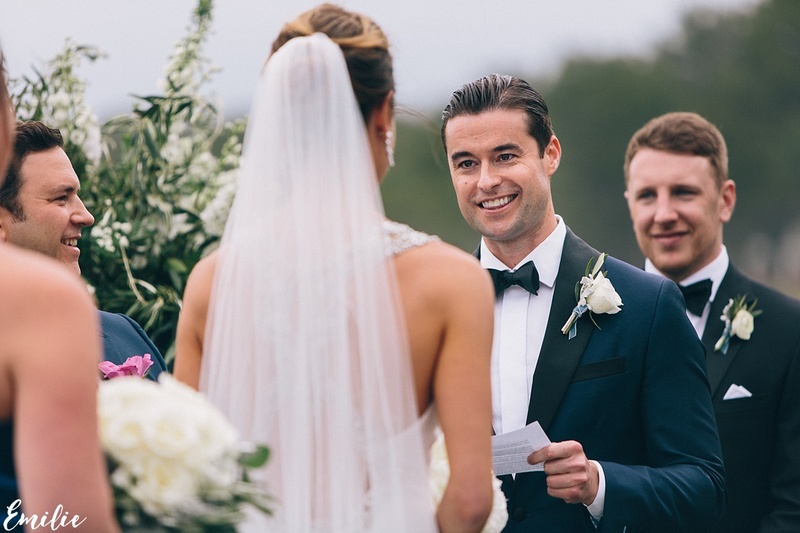 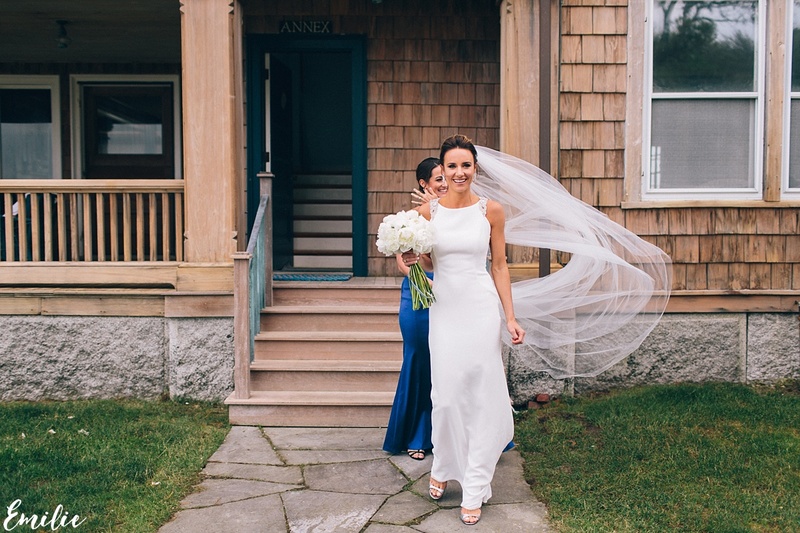 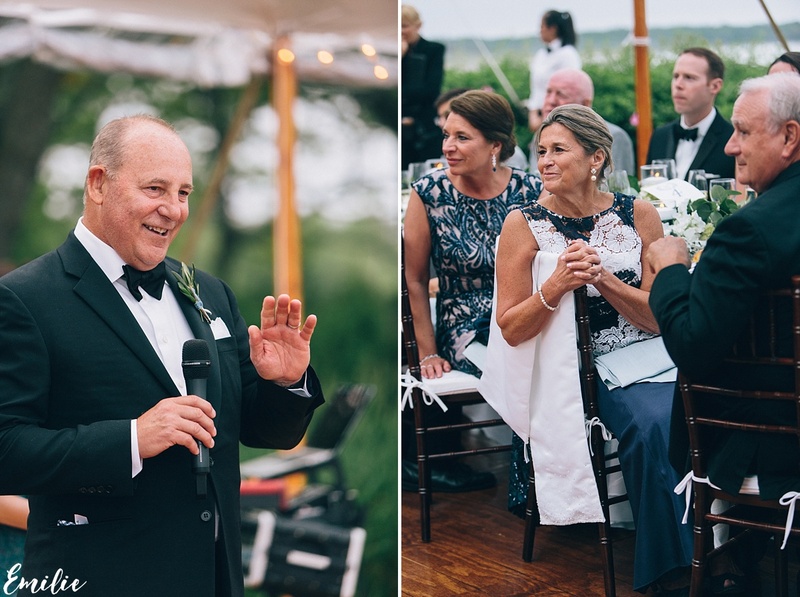 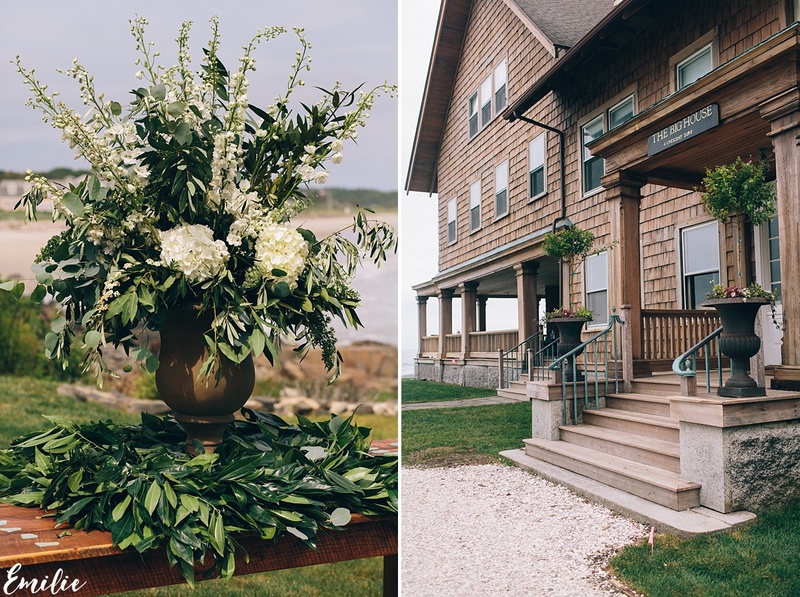 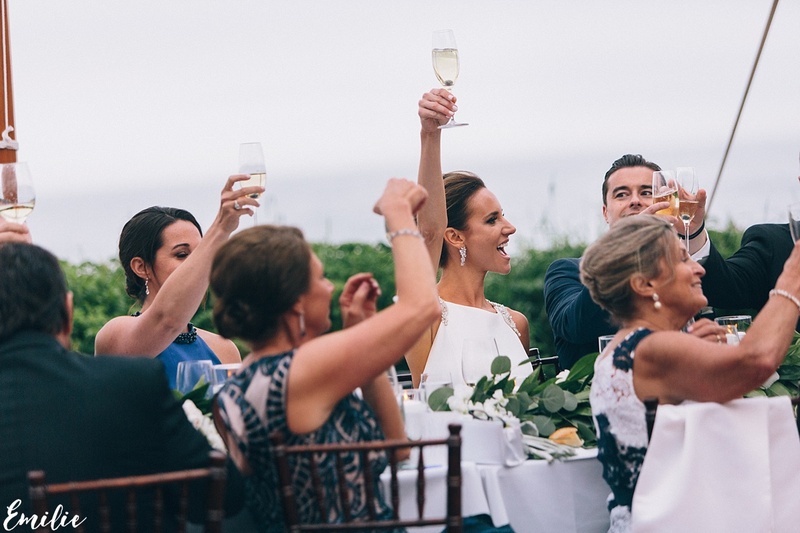 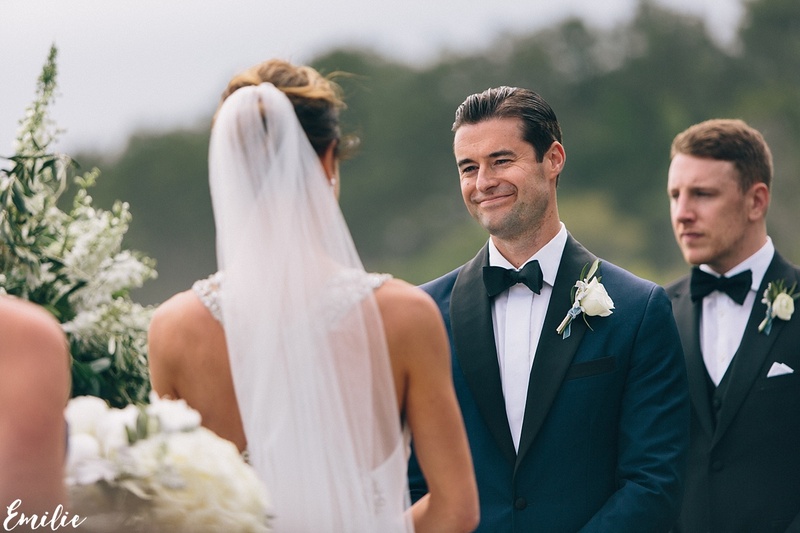 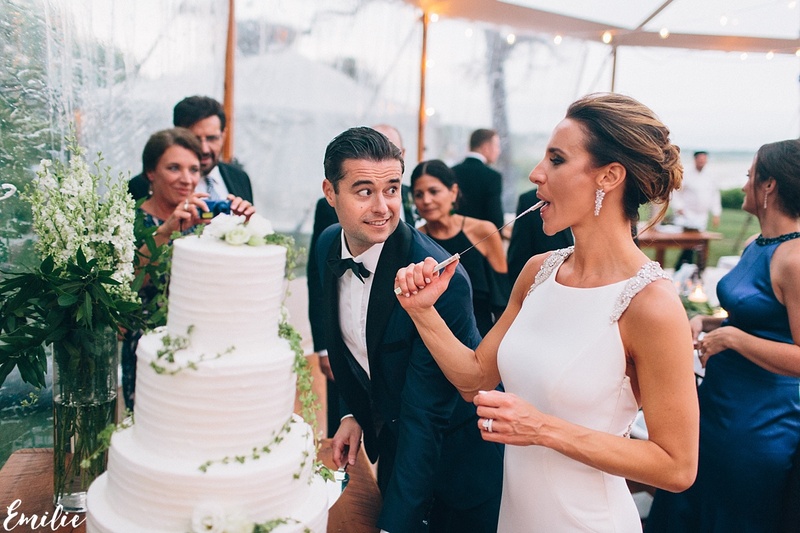 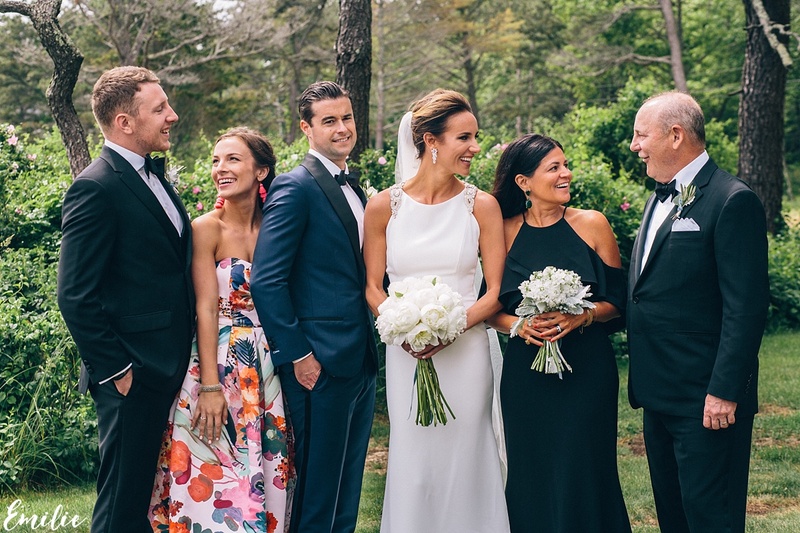 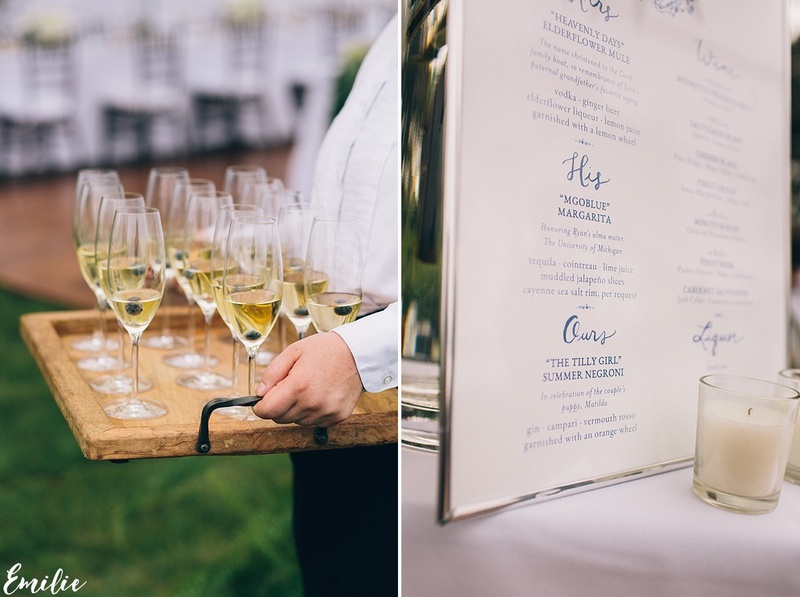 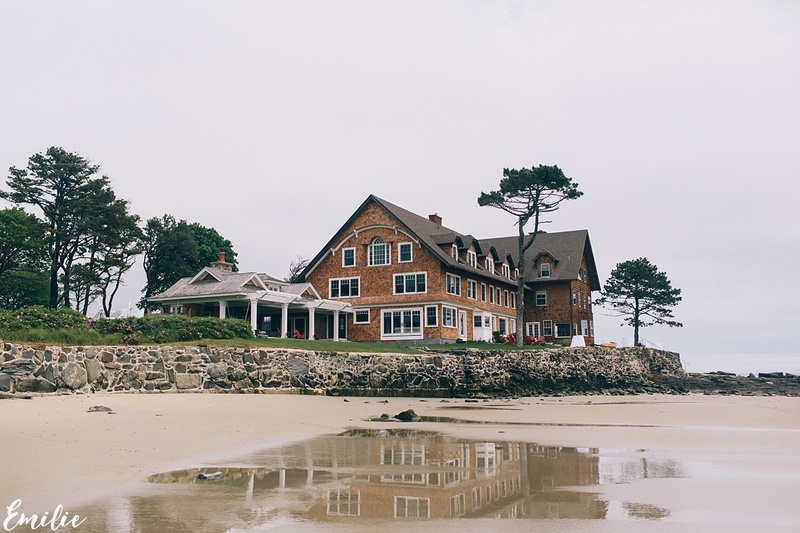 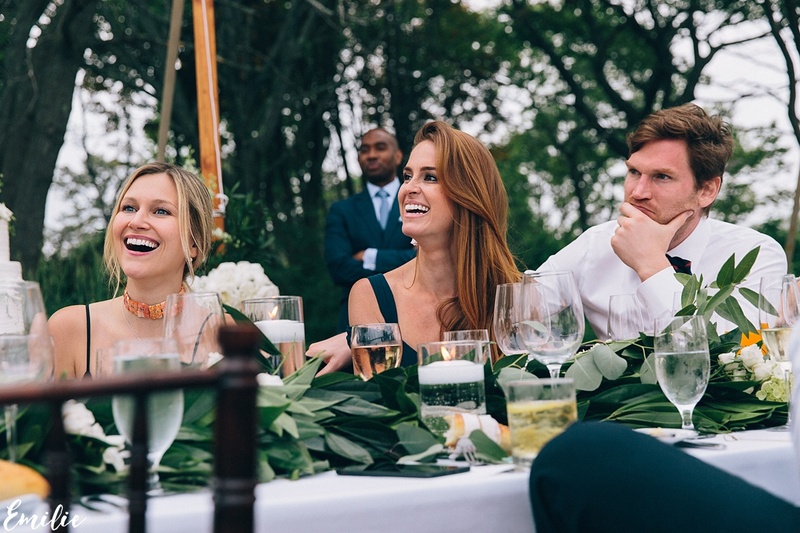 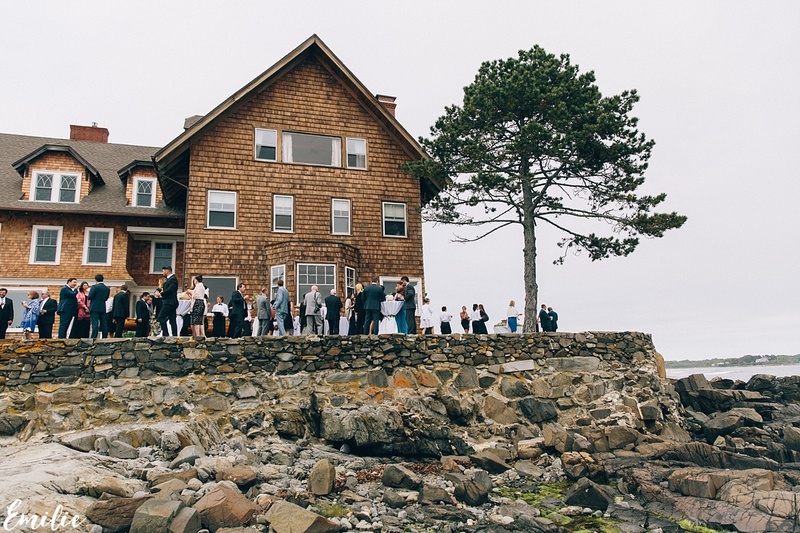 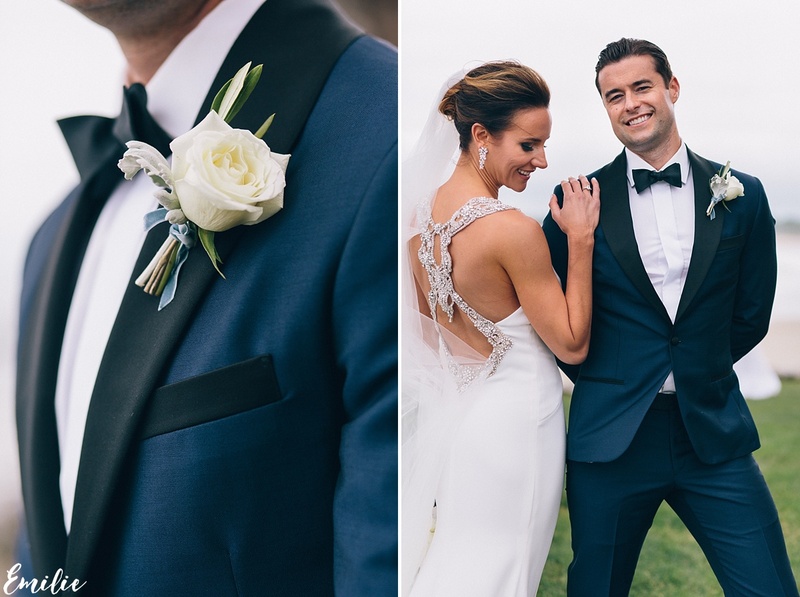 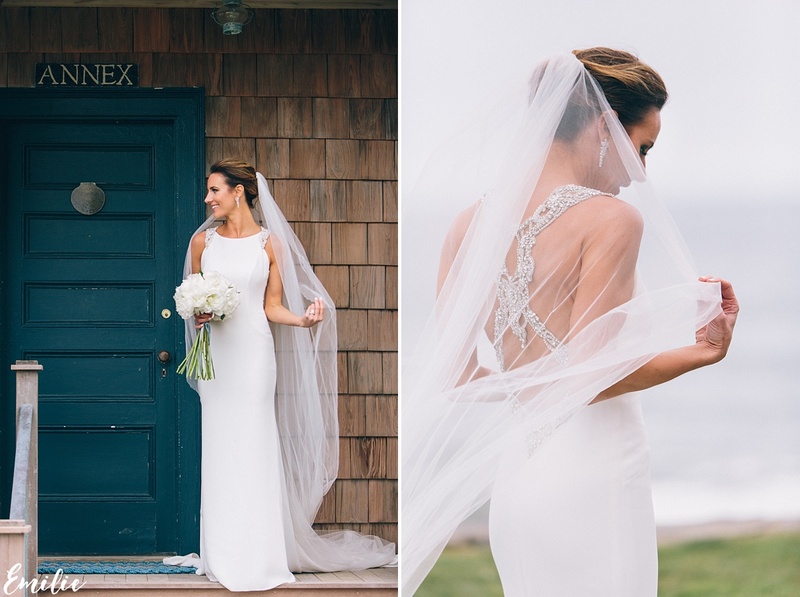 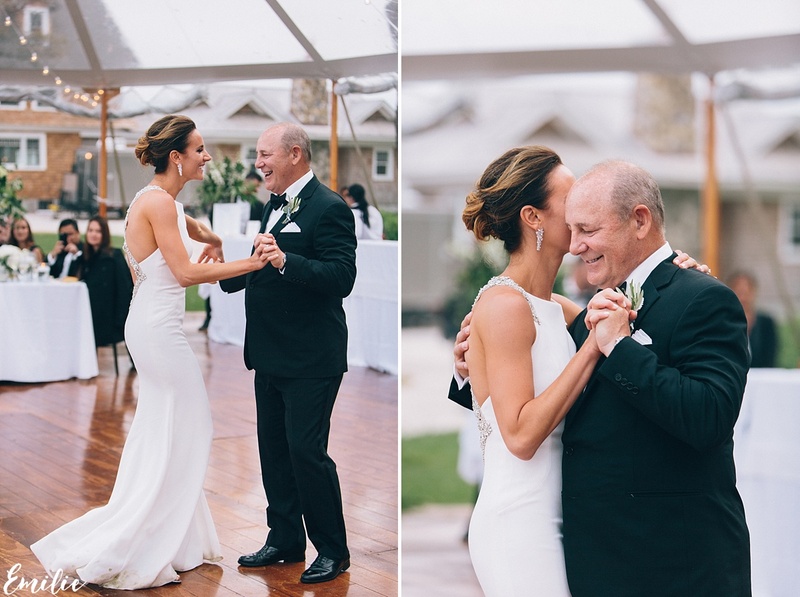 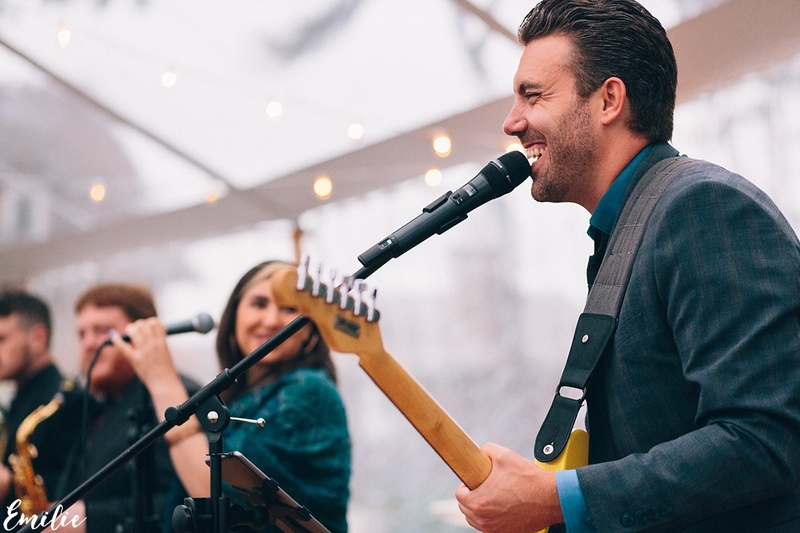 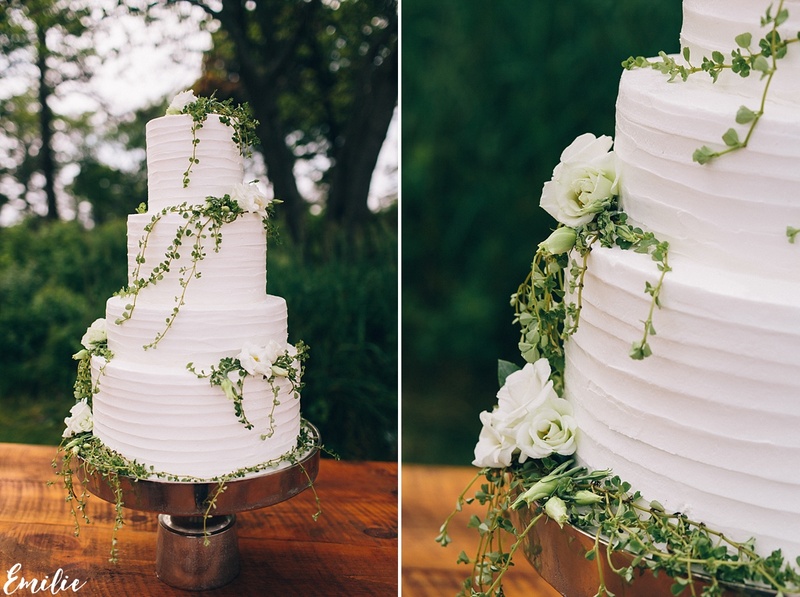 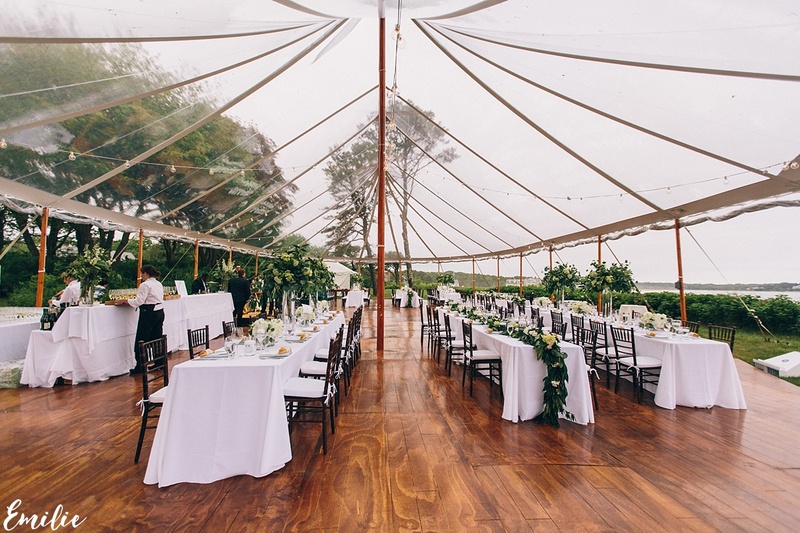 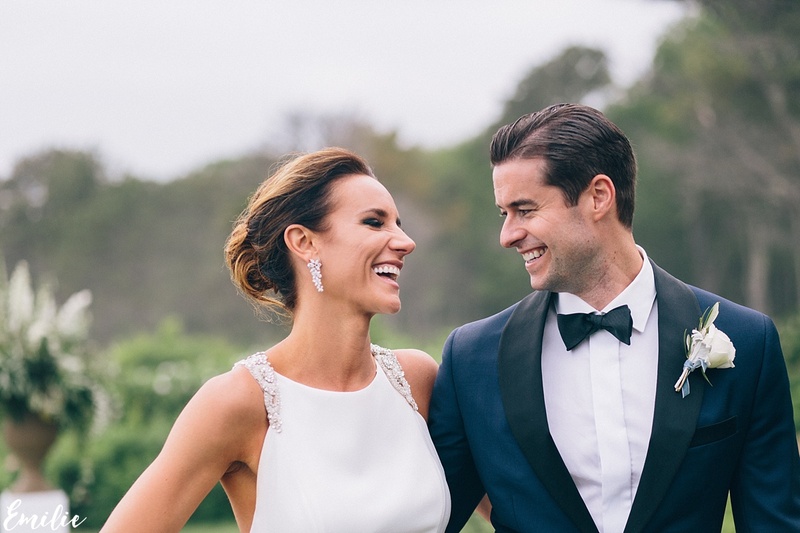 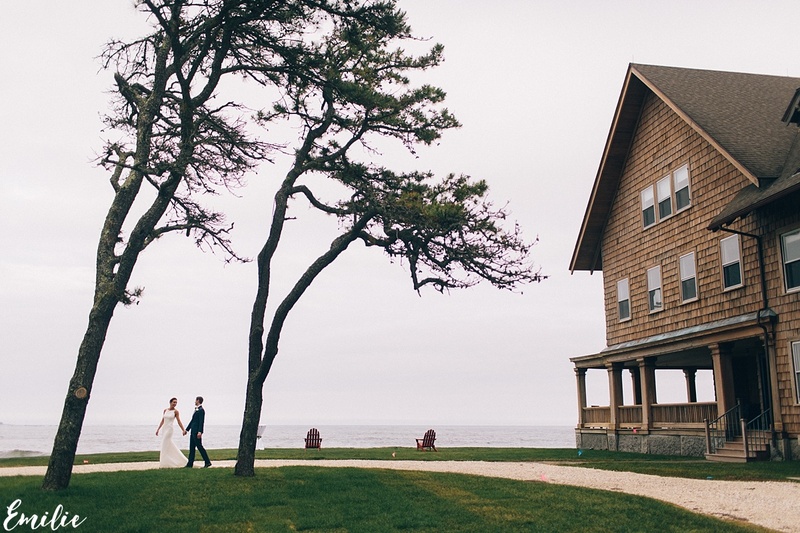 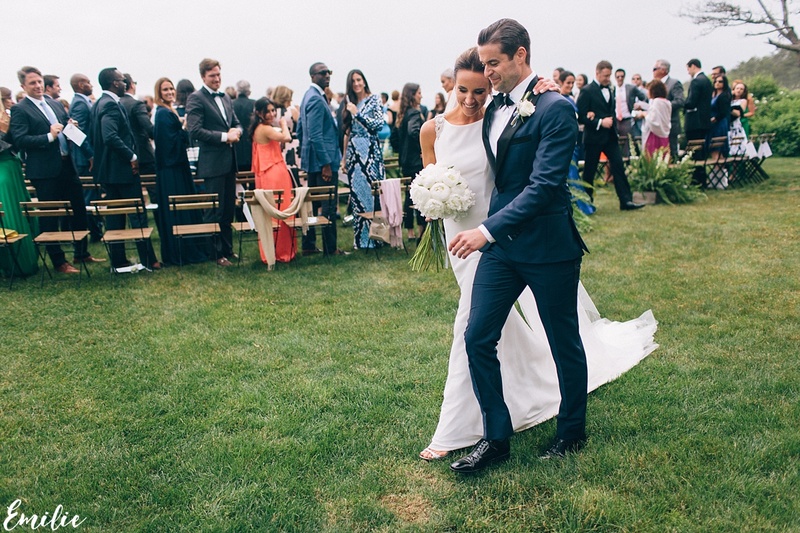 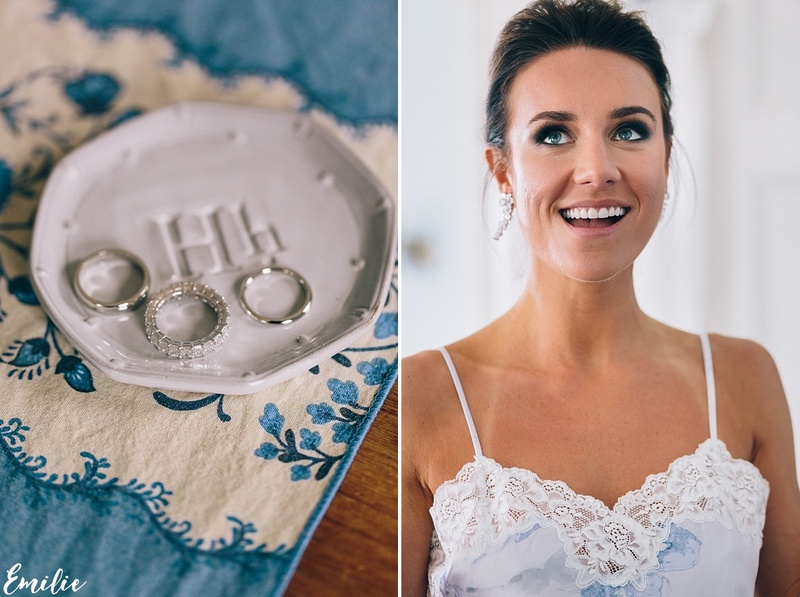 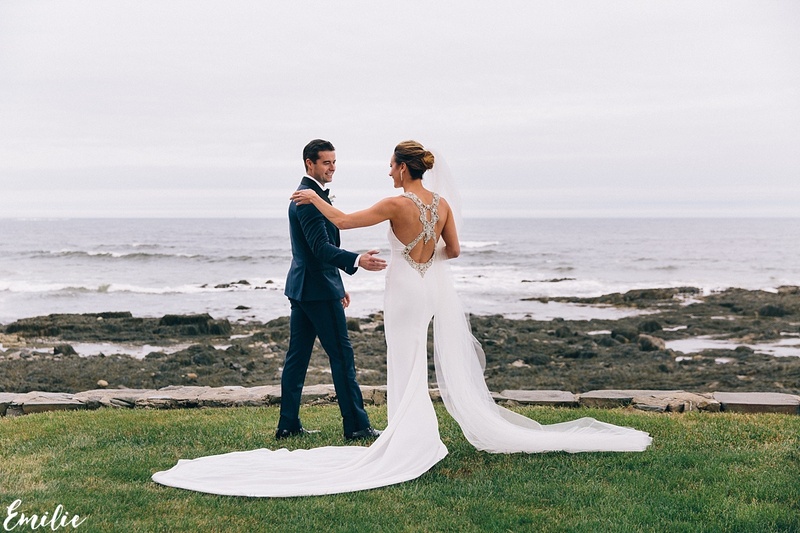 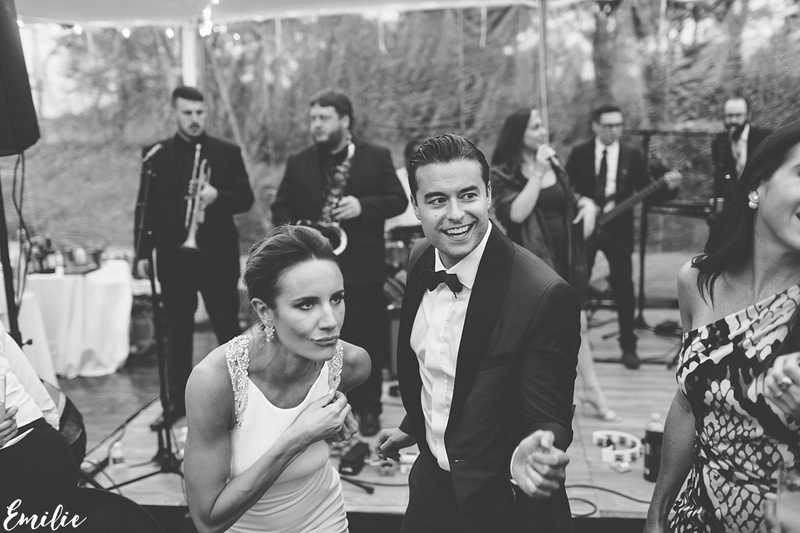 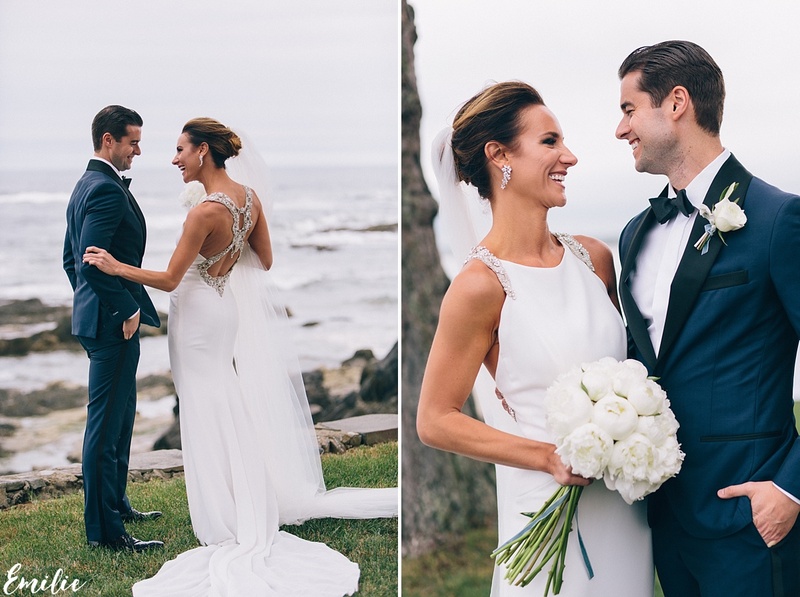 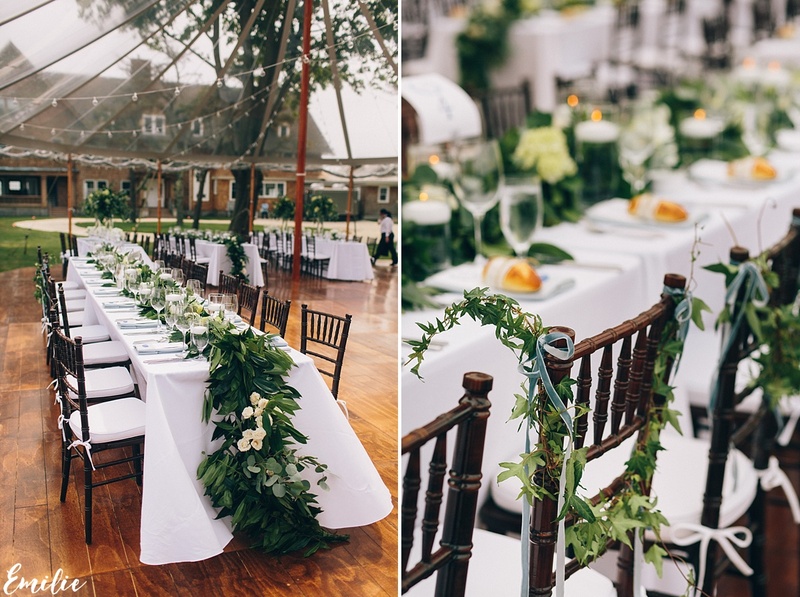 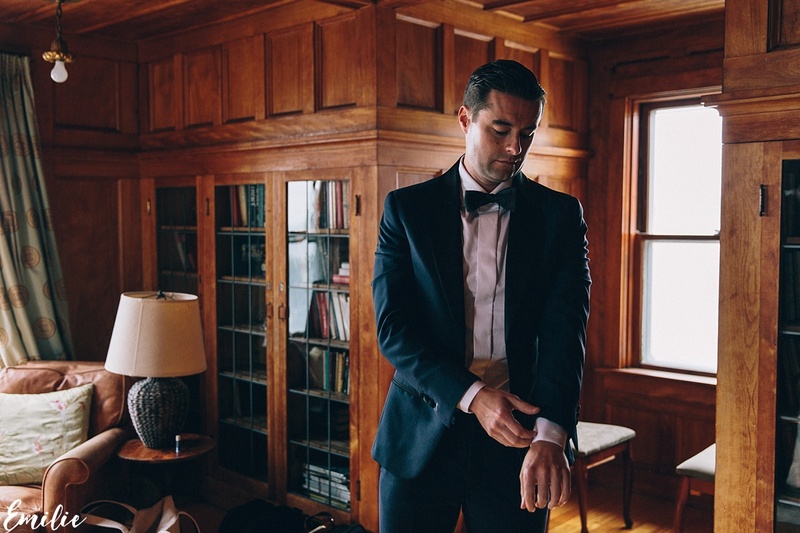 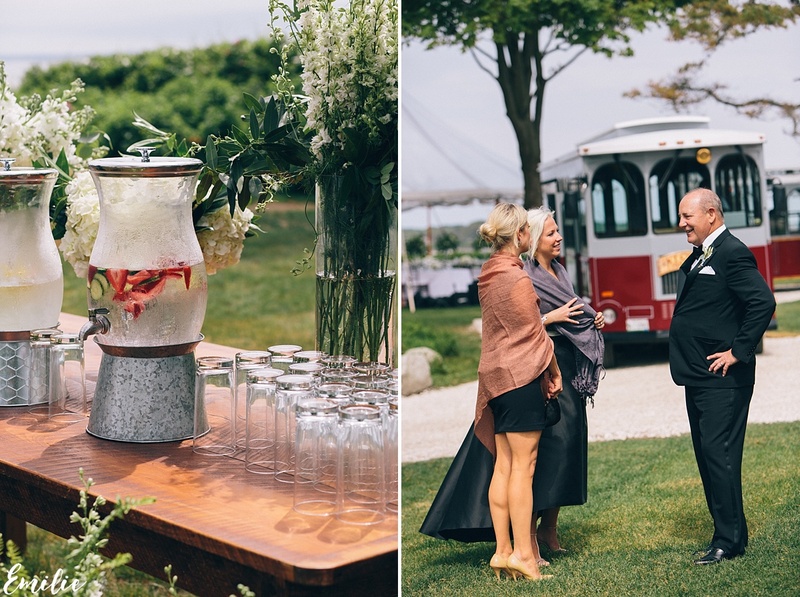 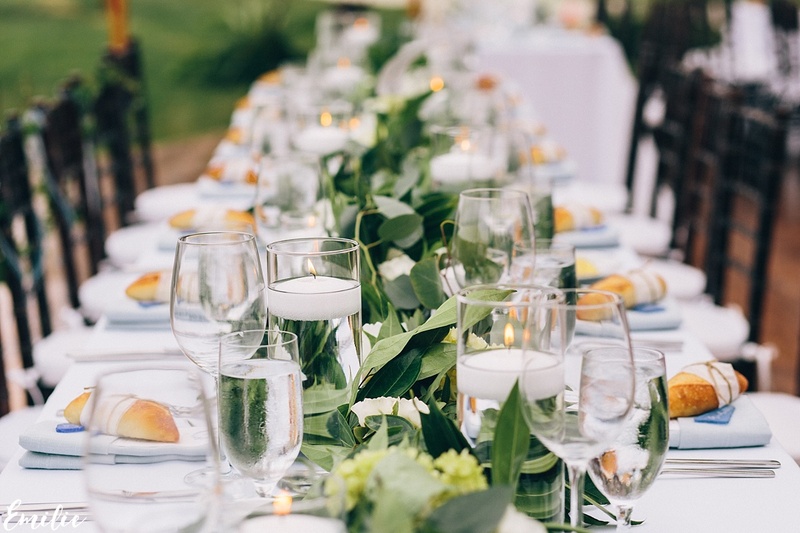 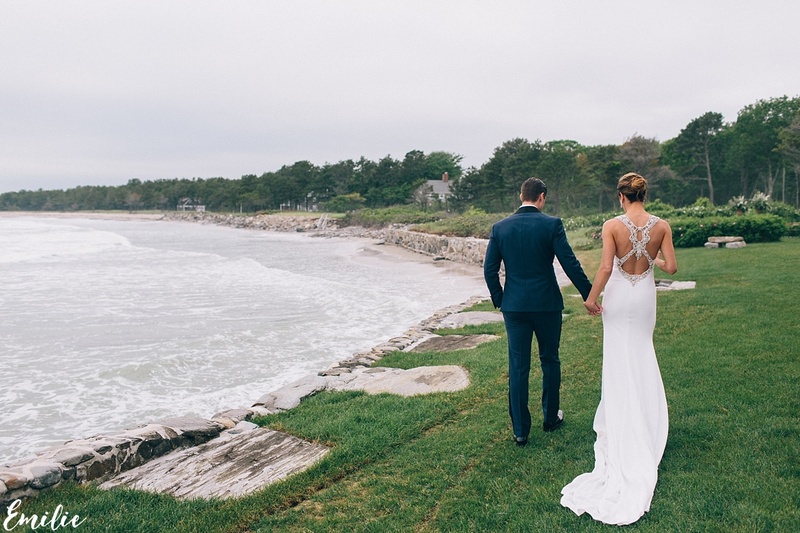 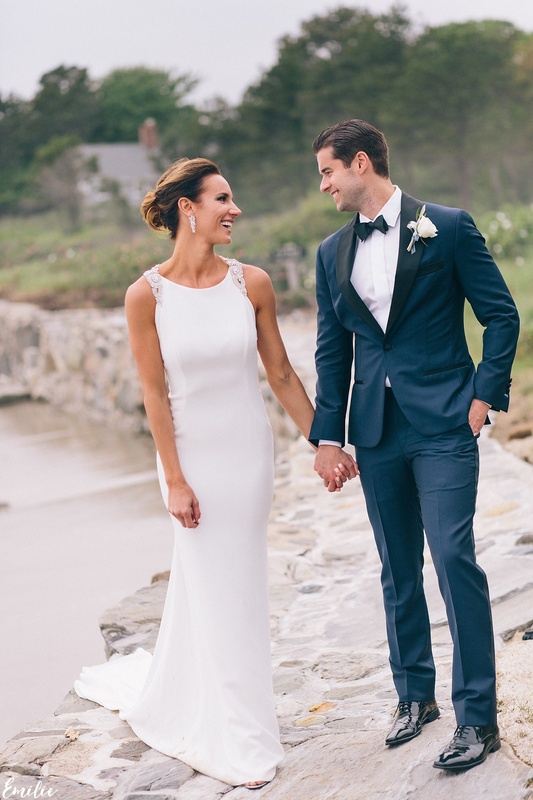 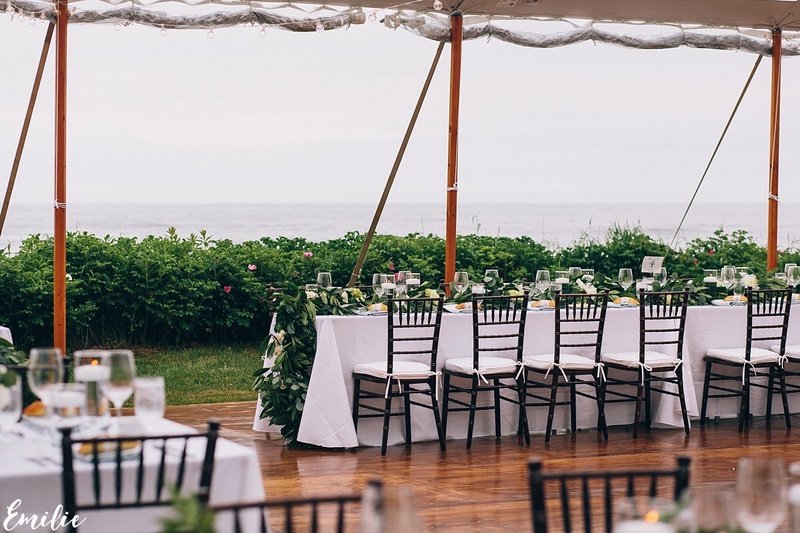 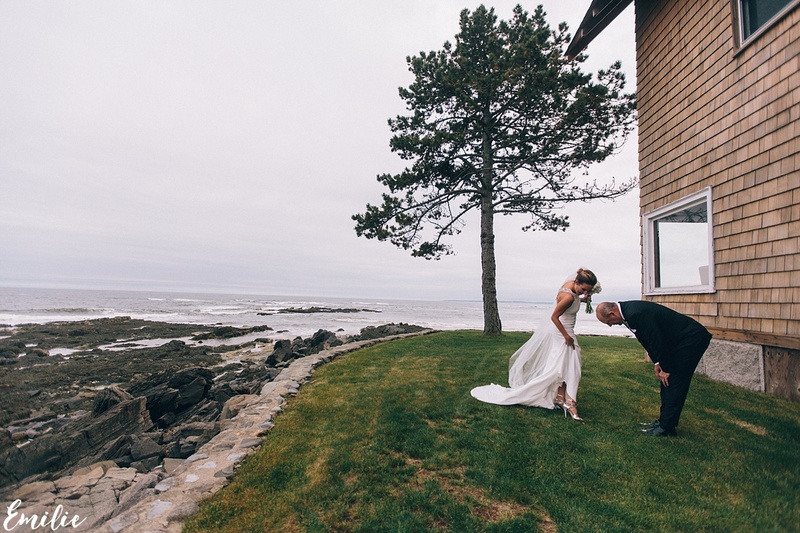 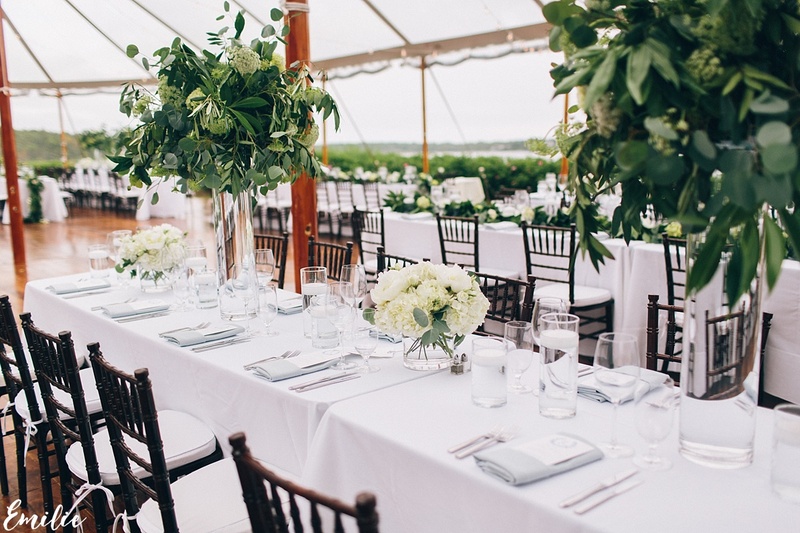 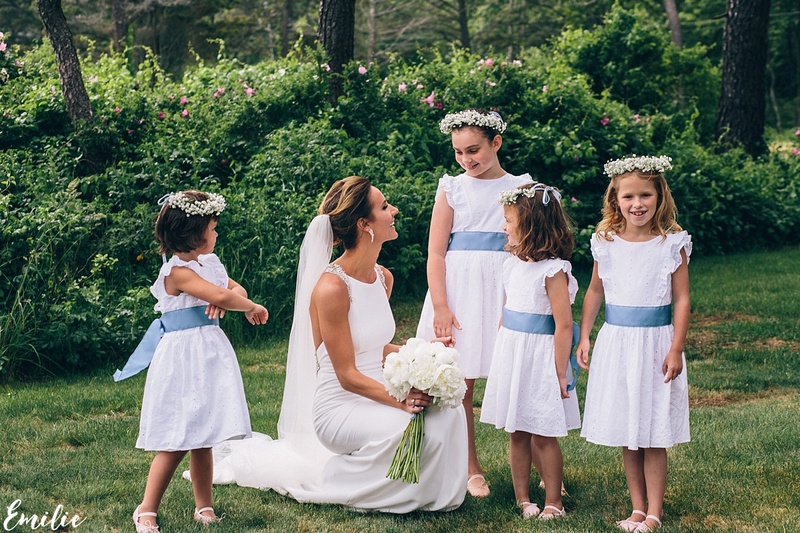 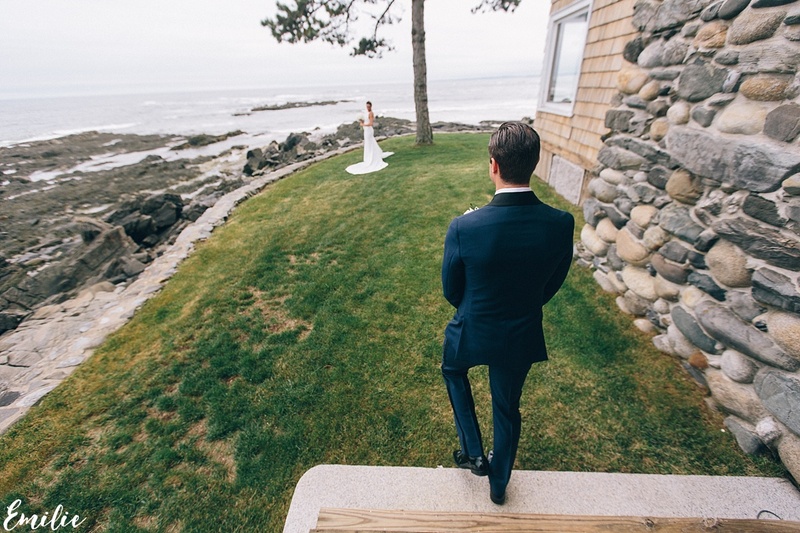 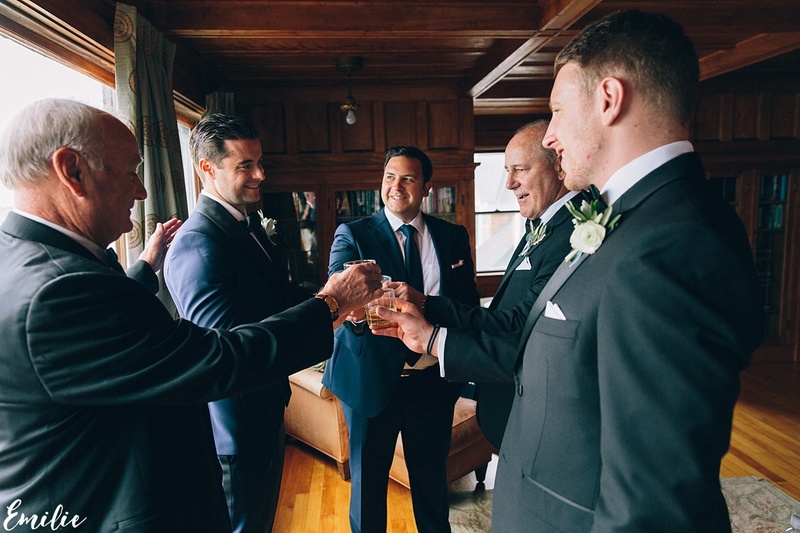 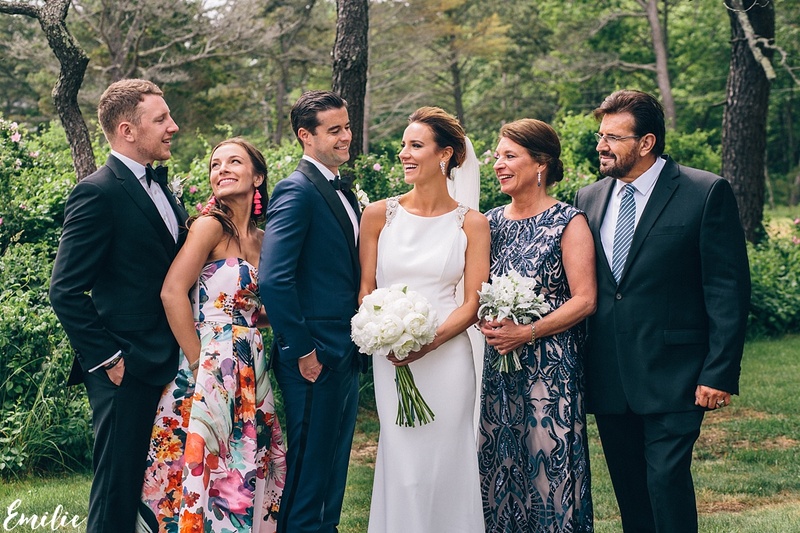 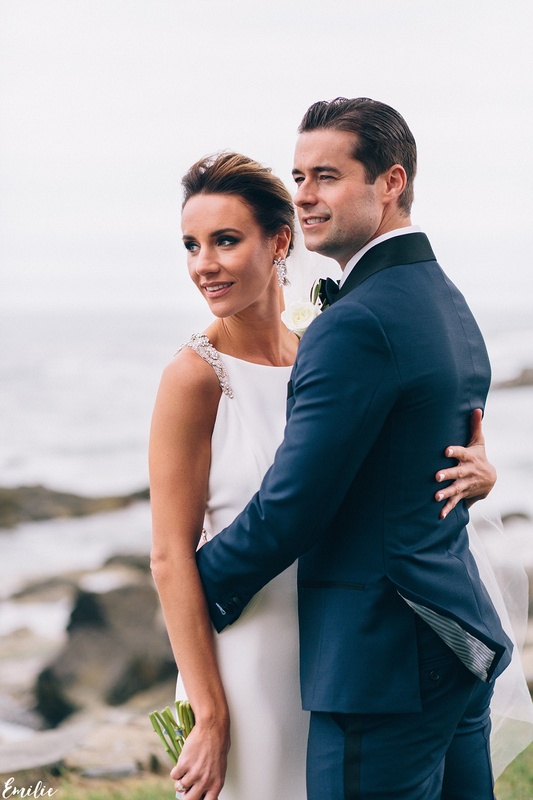 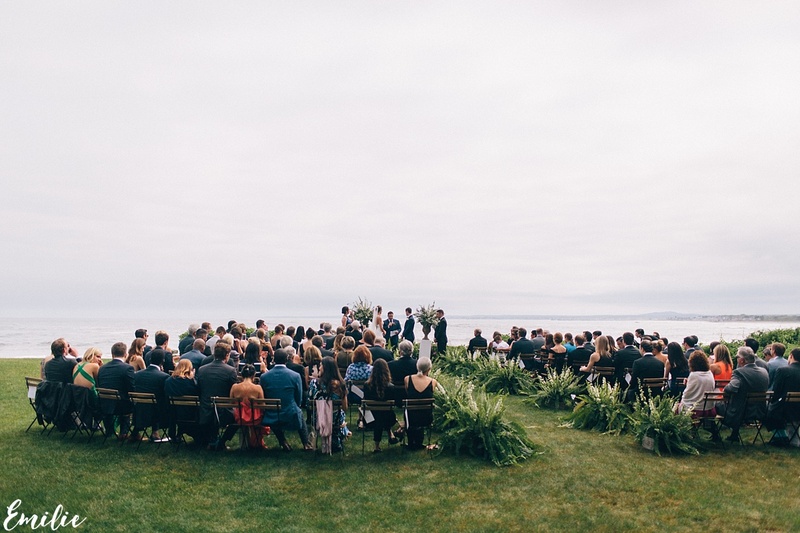 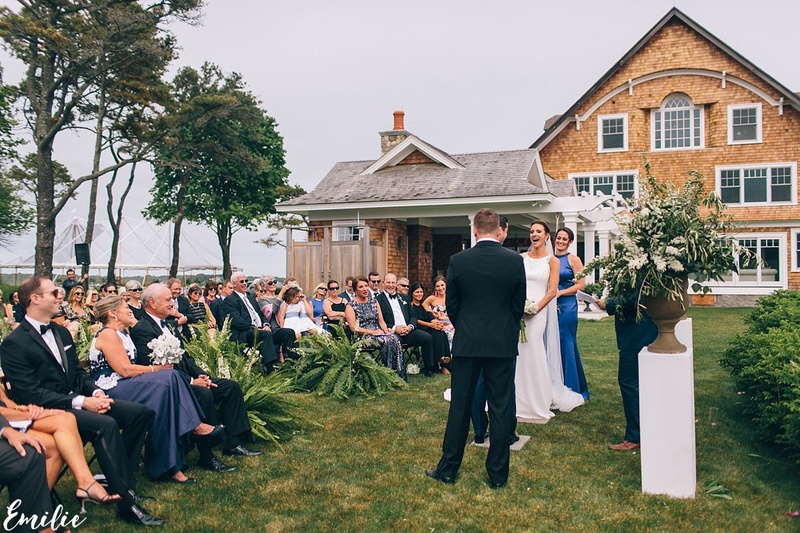 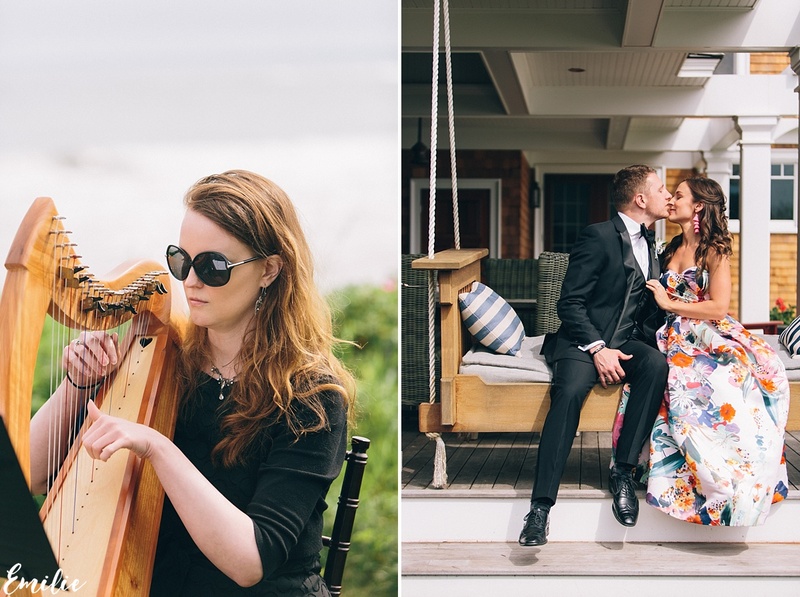 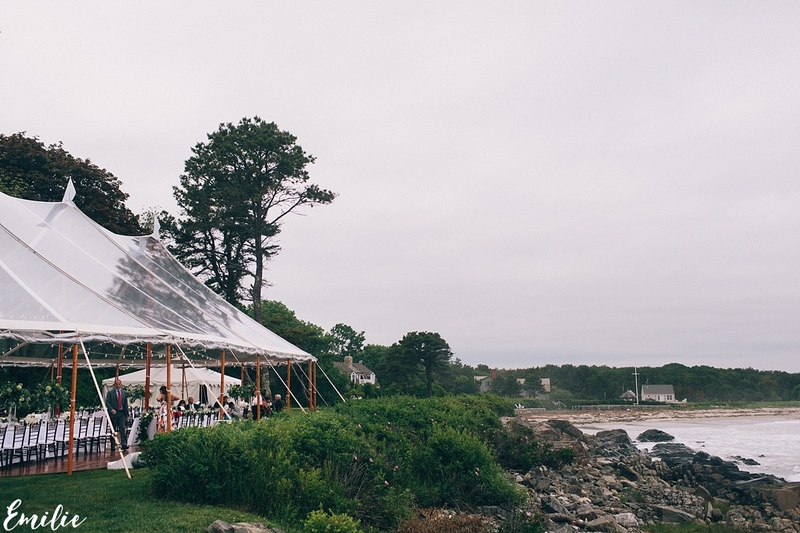 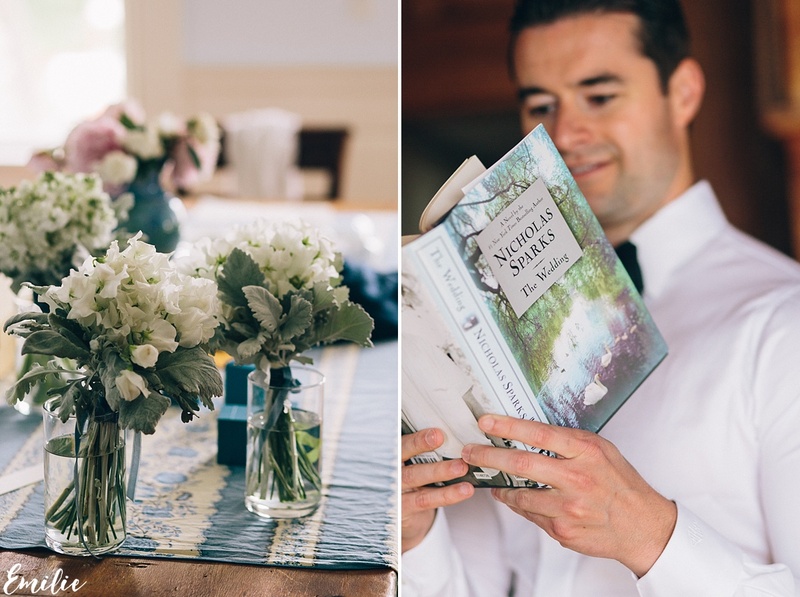 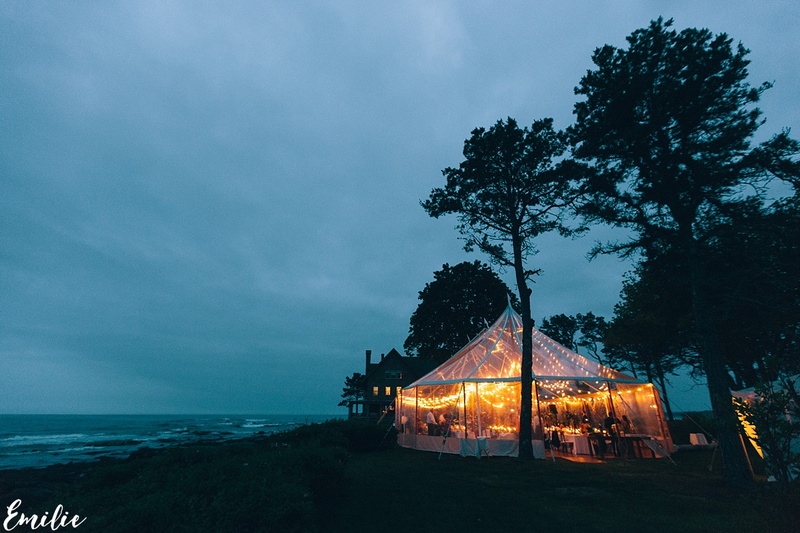 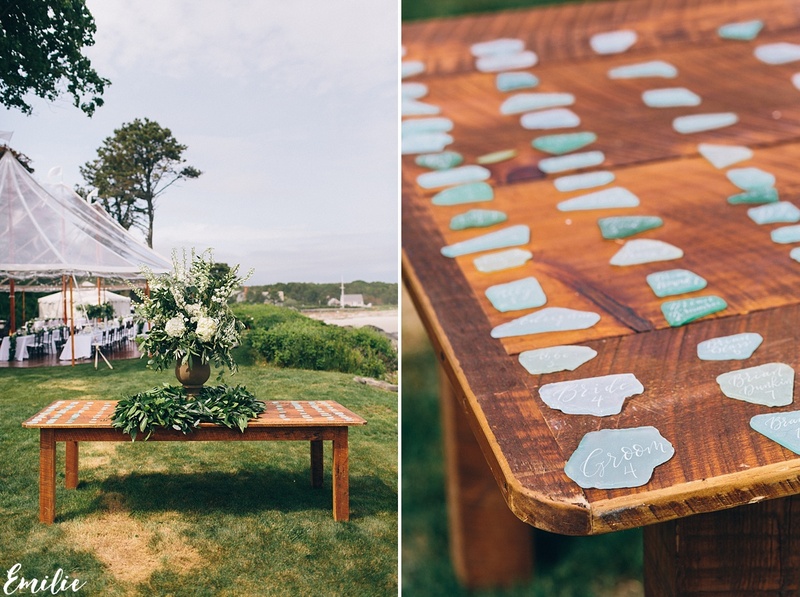 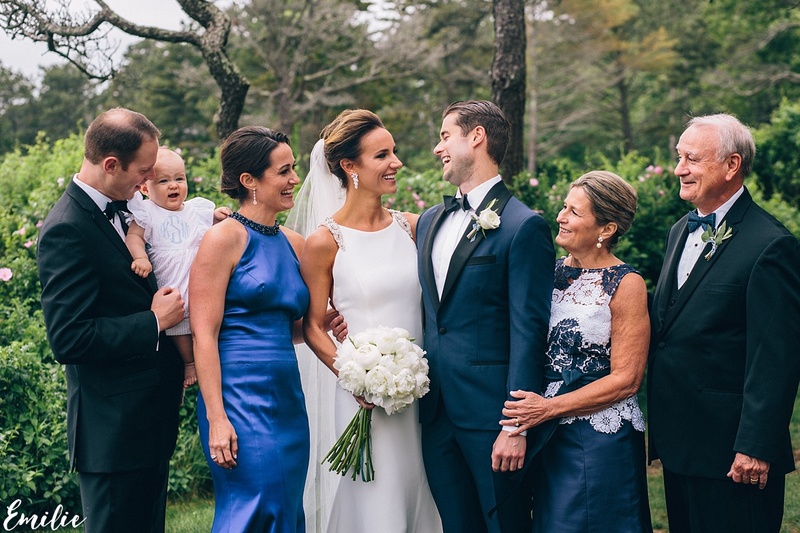 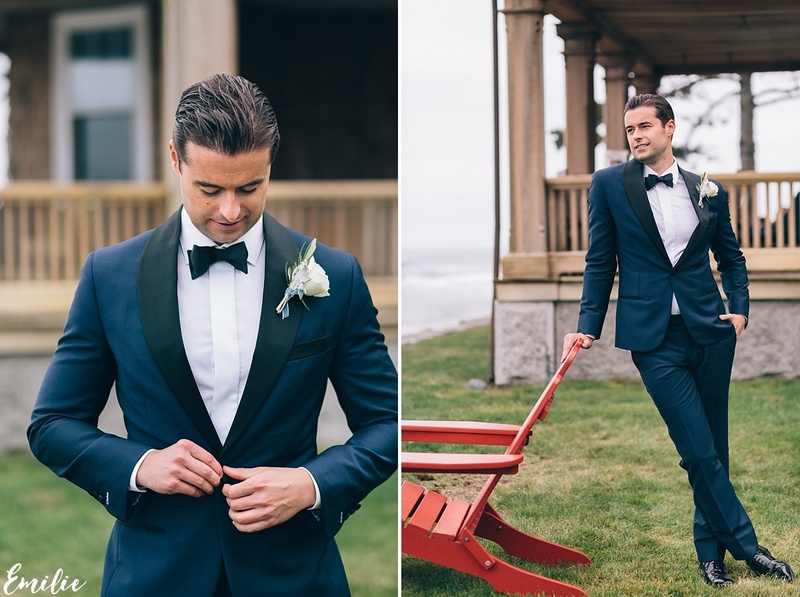 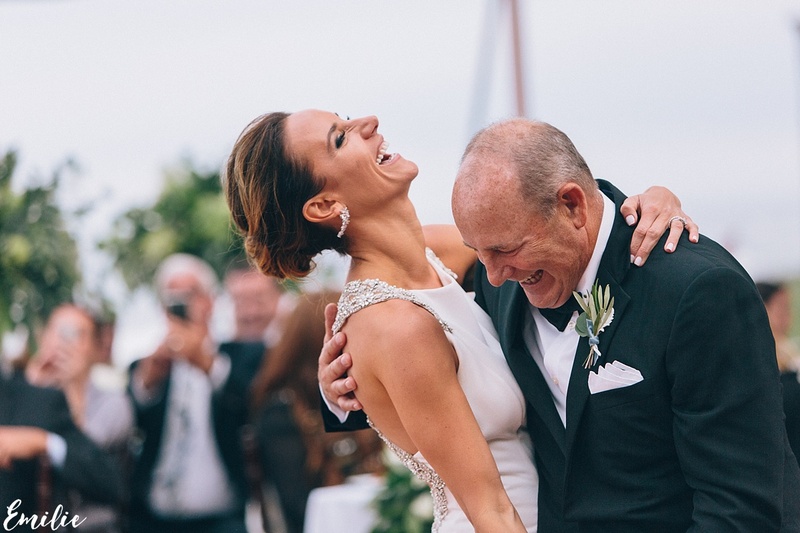 The couple took their time in finding a wedding venue before deciding upon The Big House in Kennebunkport, Maine – a private estate nested on a rock promontory overlooking the ocean. 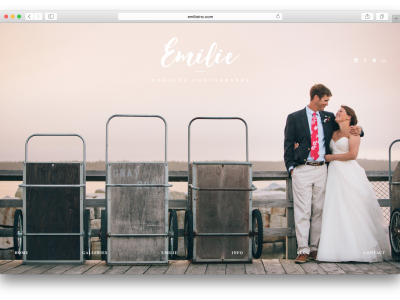 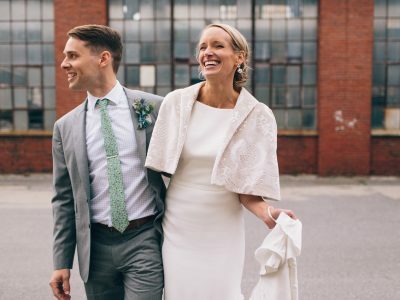 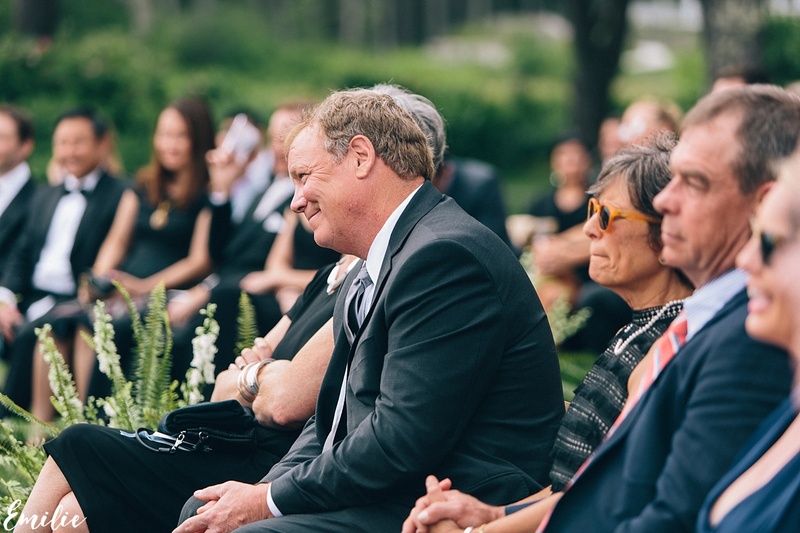 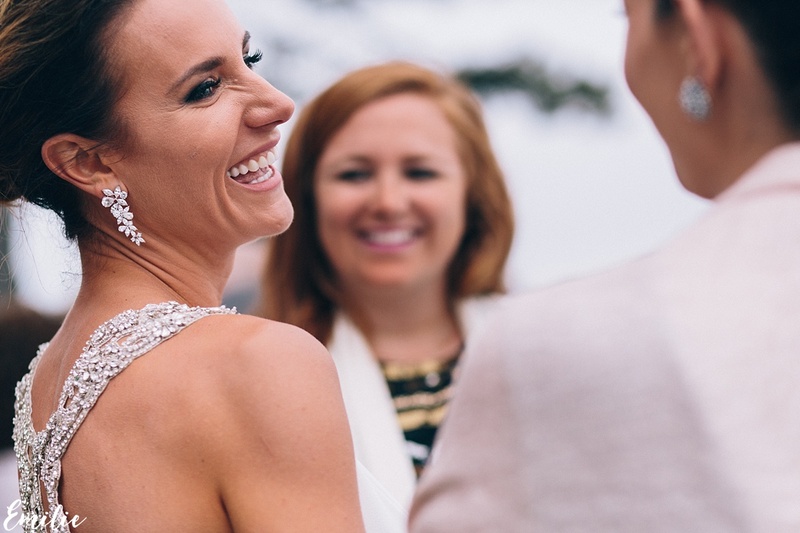 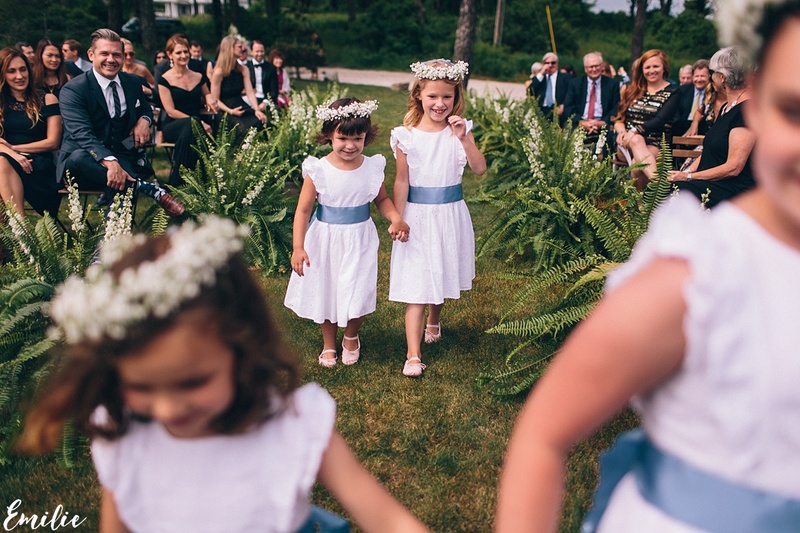 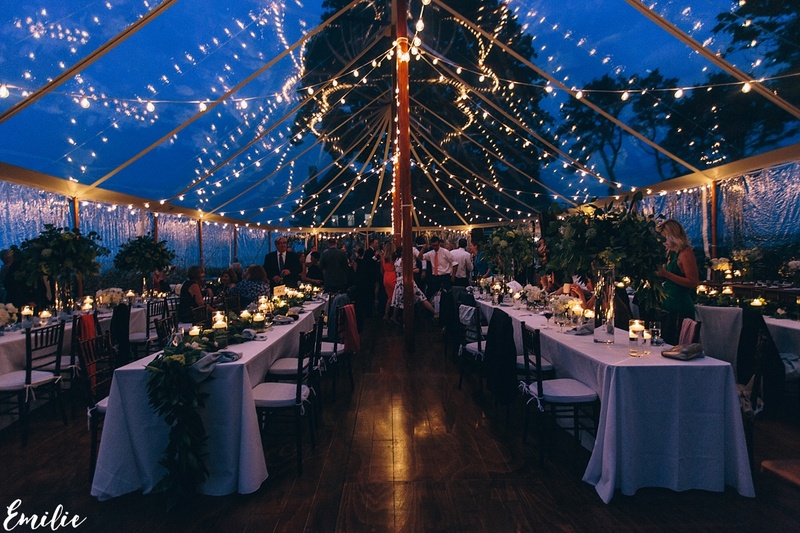 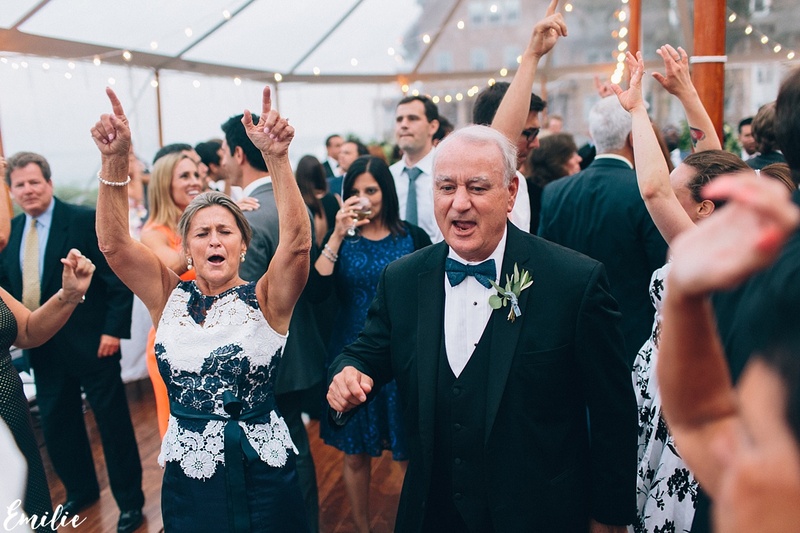 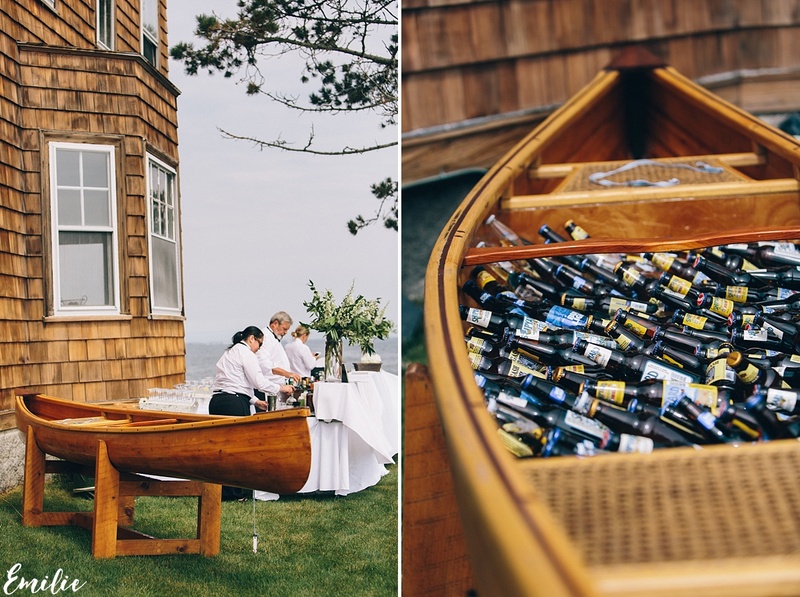 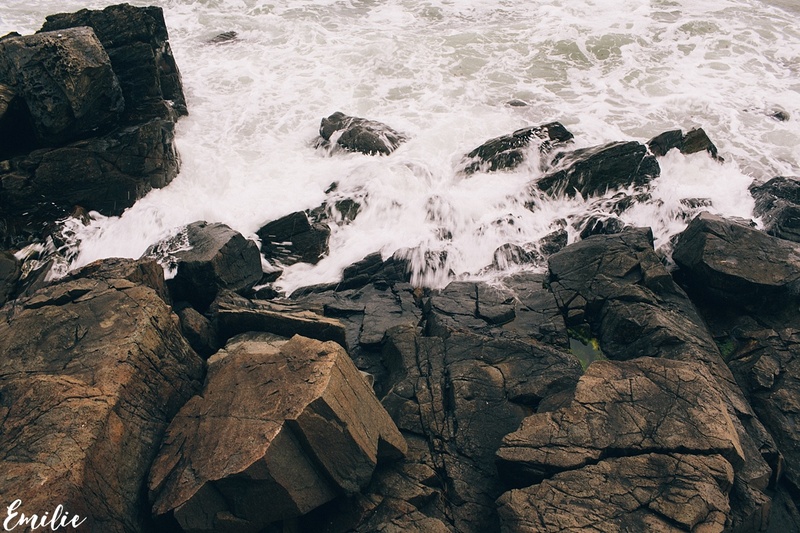 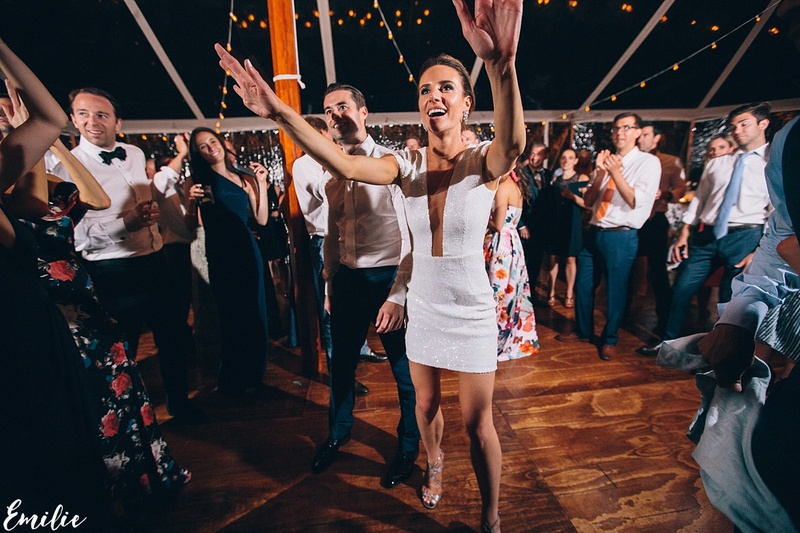 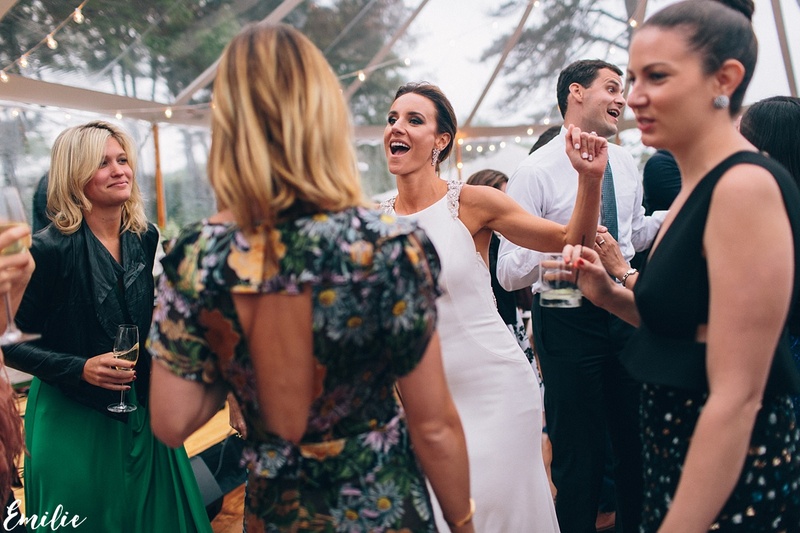 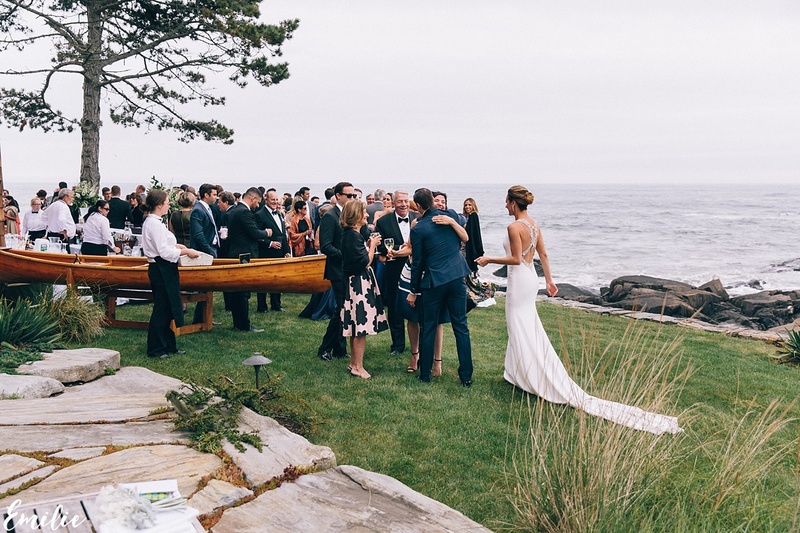 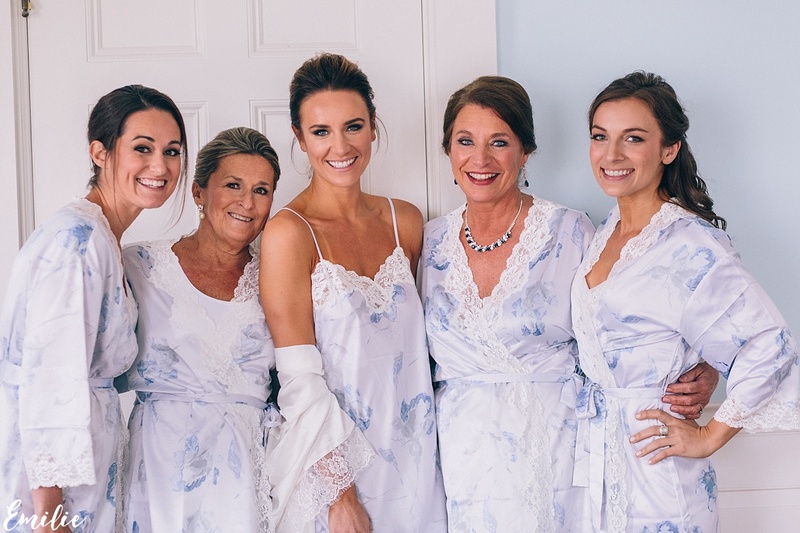 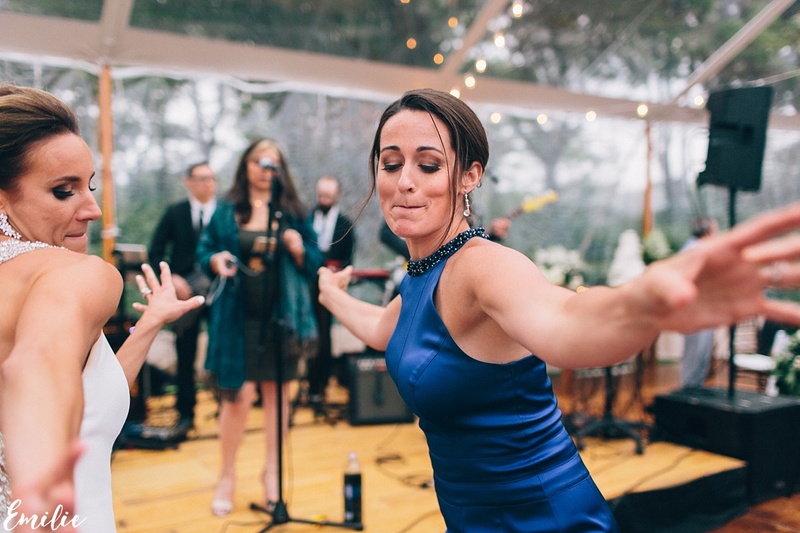 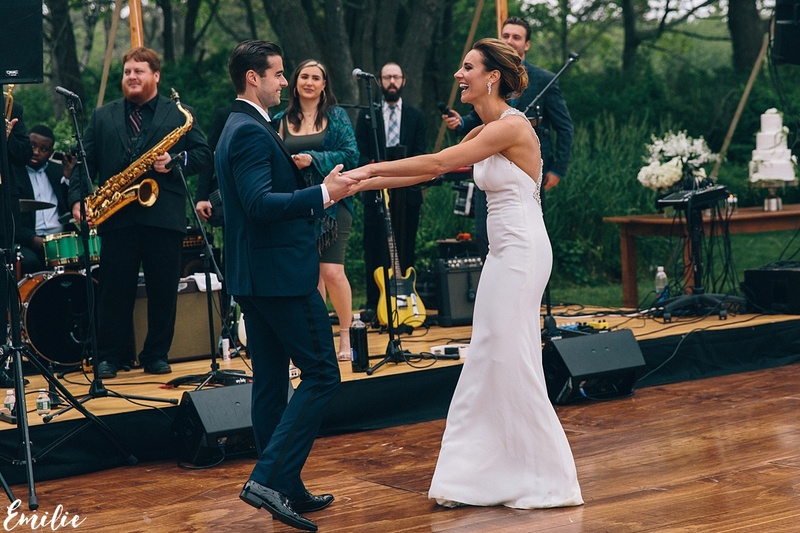 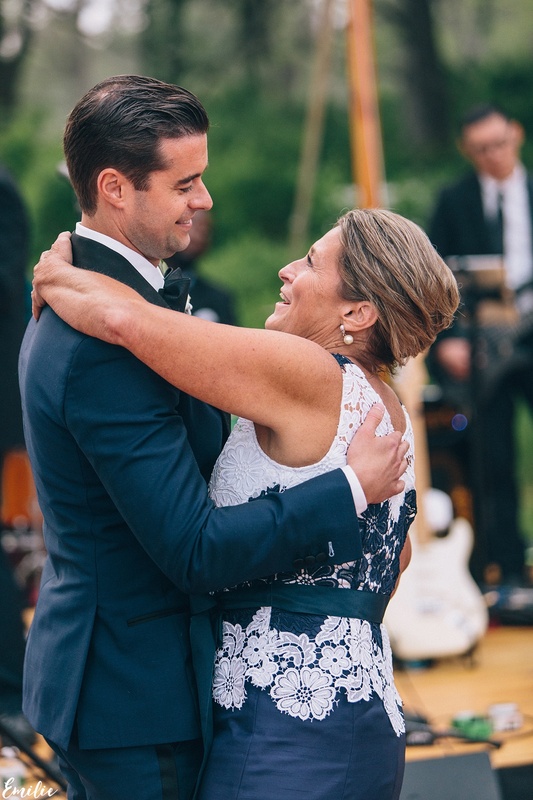 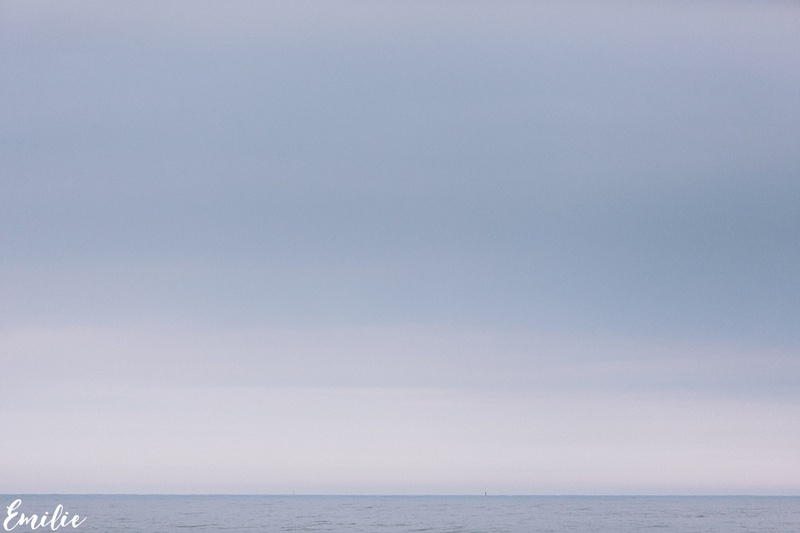 Maine holds a significant place in the couple’s hearts as Julie grew up summering at her family’s lakehouse in nearby Boothbay Harbor. 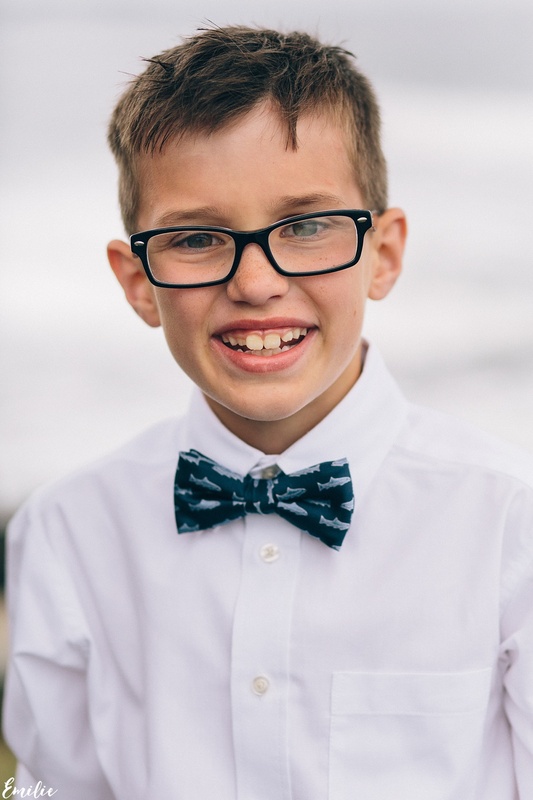 Serendipitously, The Big House is also the name of the football stadium at University of Michigan, Ryan’s alma mater – a place he holds so dear that he started a scholarship in the Hoadley family name. 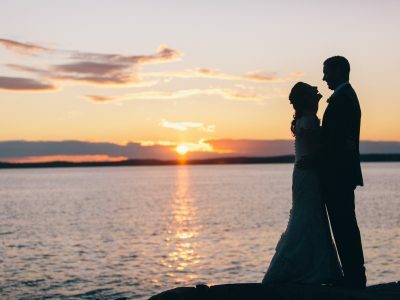 On Friday evening, after hosting their family members at The Ocean at Cape Arundel Inn for a rehearsal dinner, the bride and groom welcomed friends from near and far for cocktails on The Spirit of Massachusetts Schooner – a 125 ft historic sailboat that is now permanently docked in the Kennebunkport harbor. 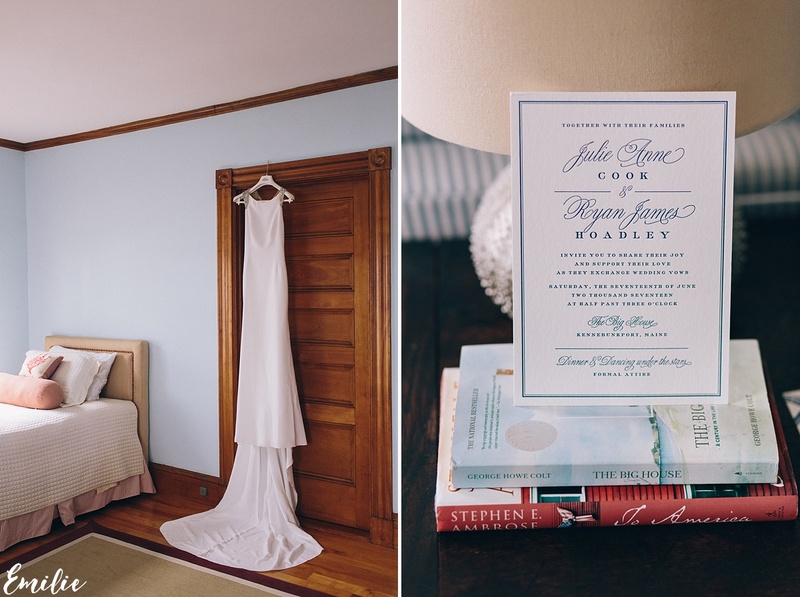 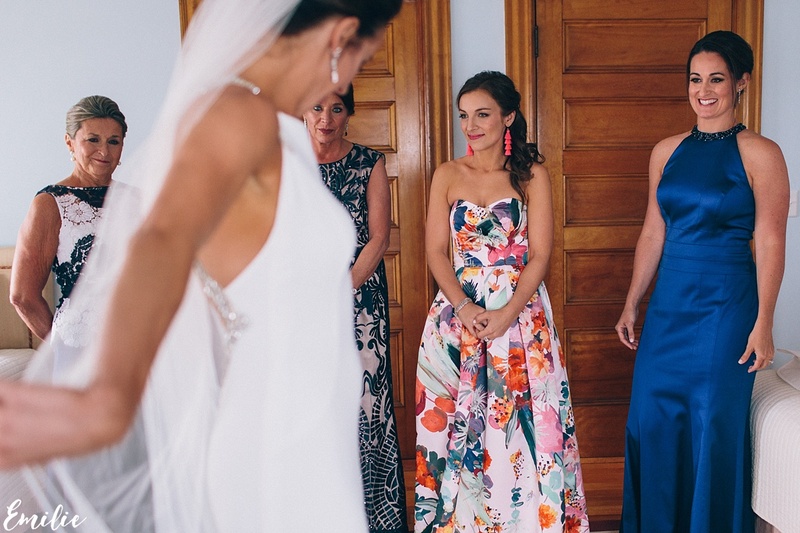 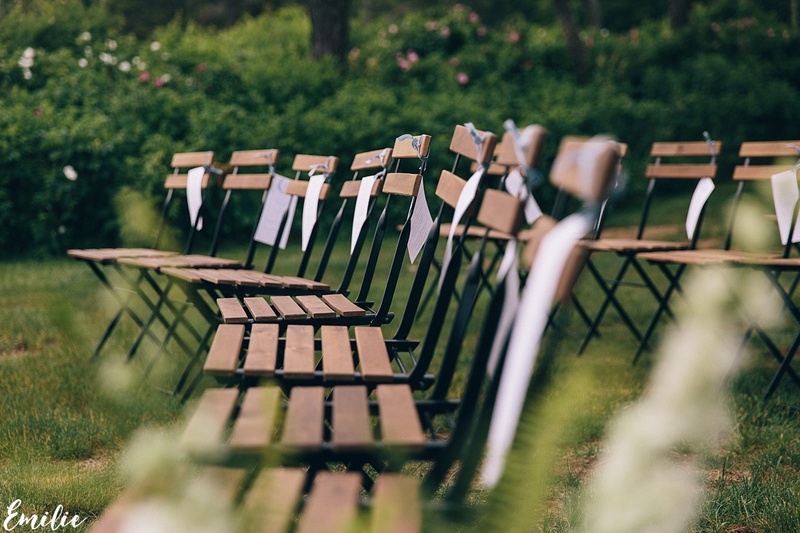 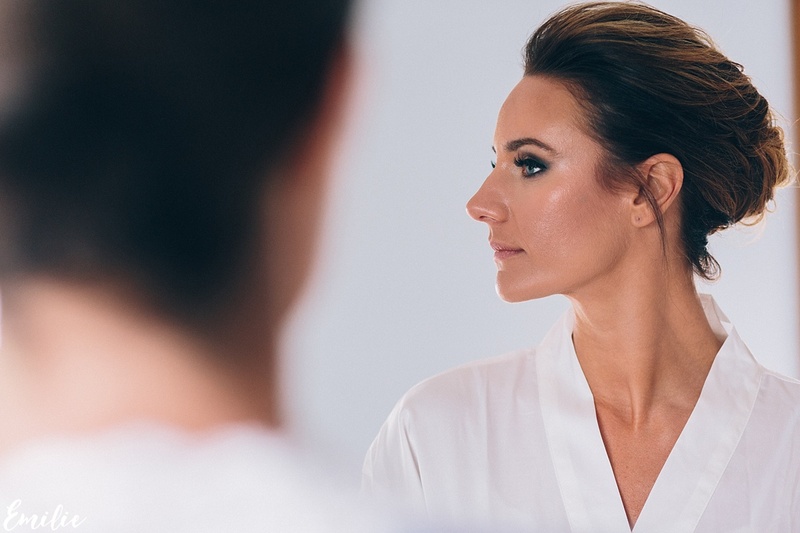 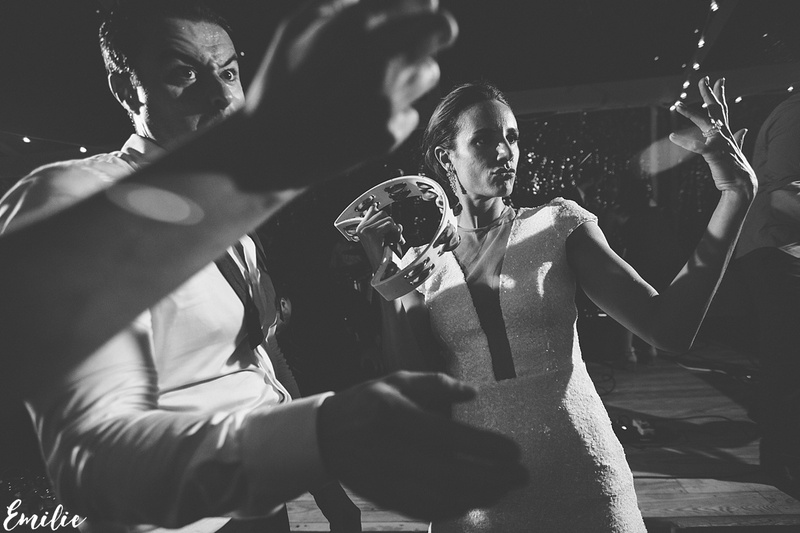 The following day, the bride and groom experienced a first look together before their wedding day began. 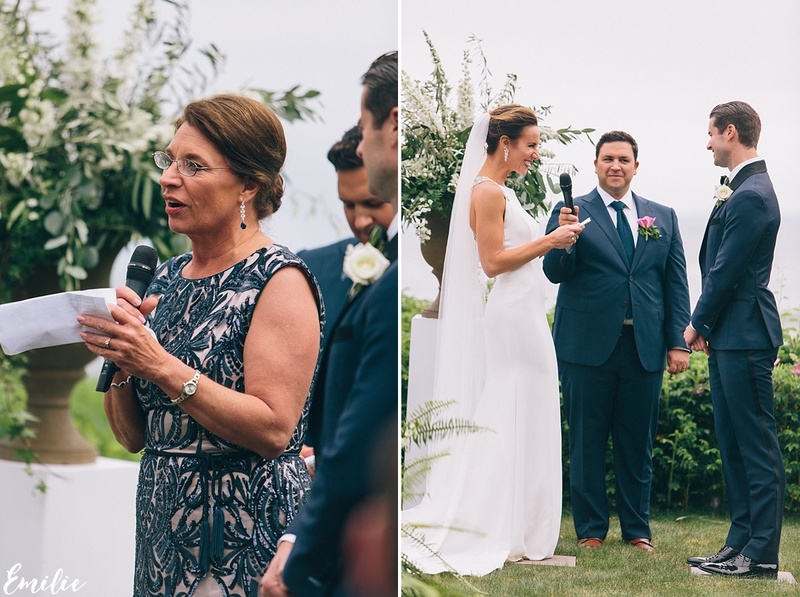 Their ceremony was non-denominational and officiated by their close friend, Martin, with Ryan’s sister, Rebecca, serving as Julie’s Maid of Honor and Julie’s brother, Matt, serving as Ryan’s Best Man. 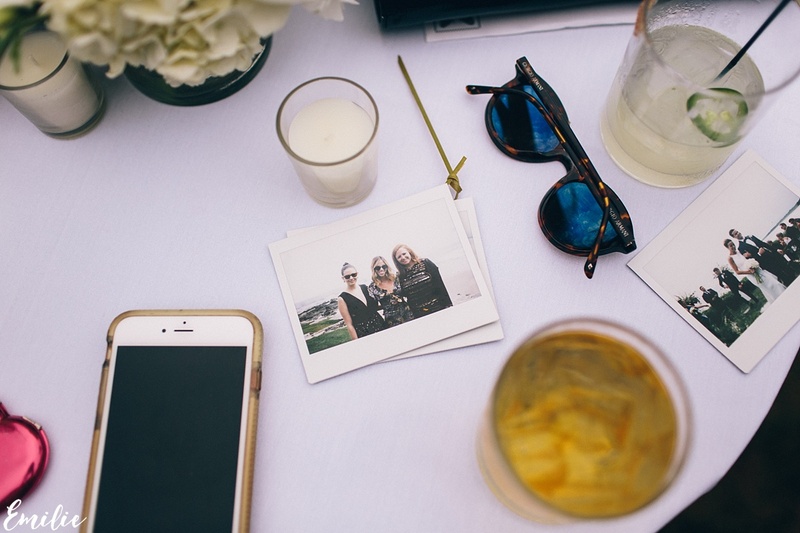 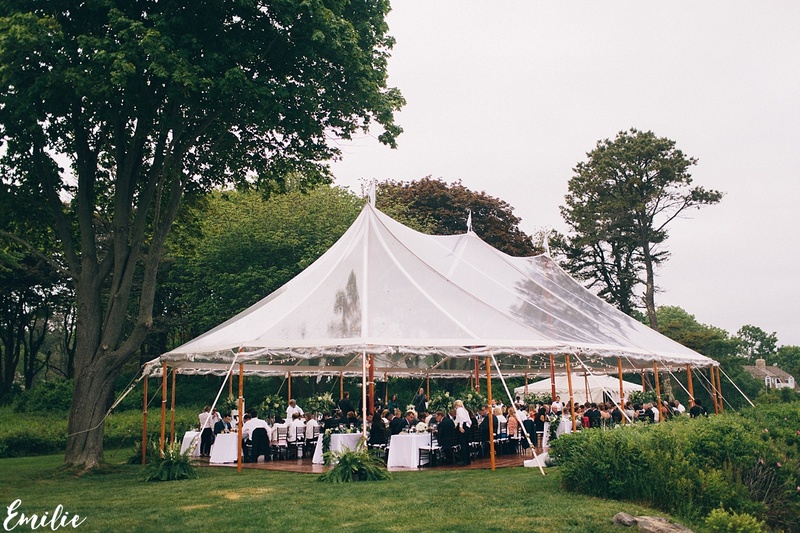 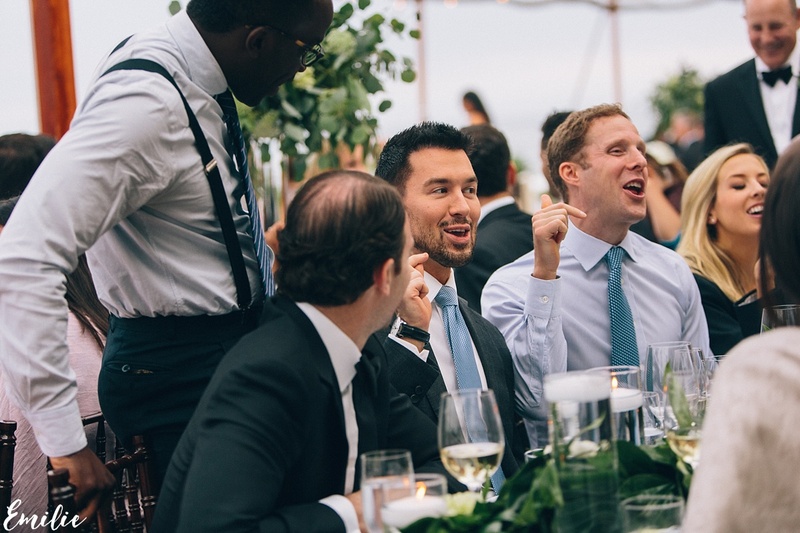 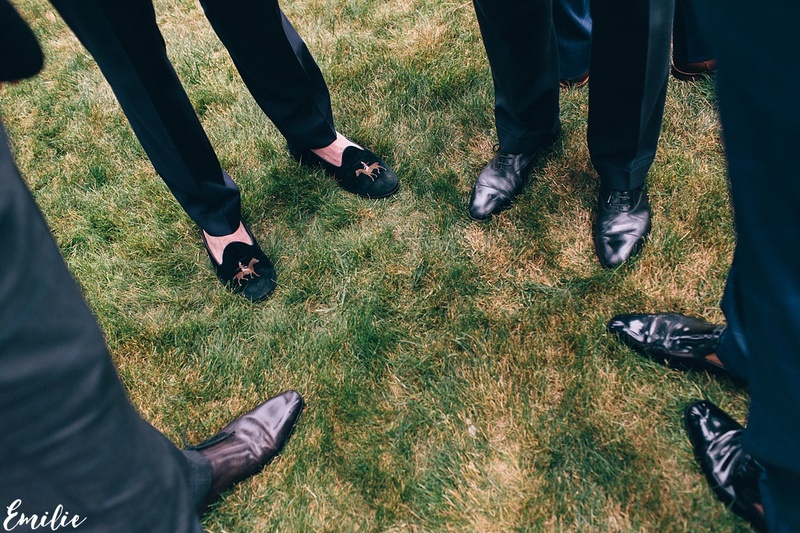 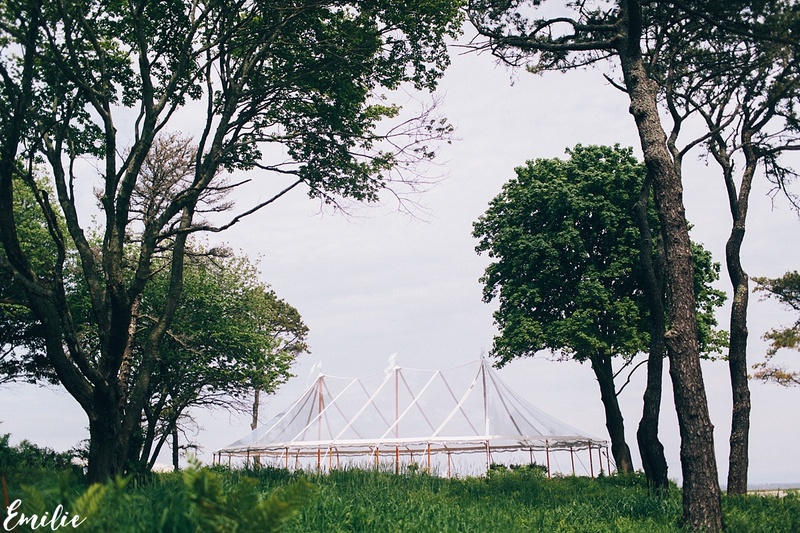 The guests enjoyed cocktail hour on the lawn of The Big House before retiring to a clear-top tent for dinner and dancing. 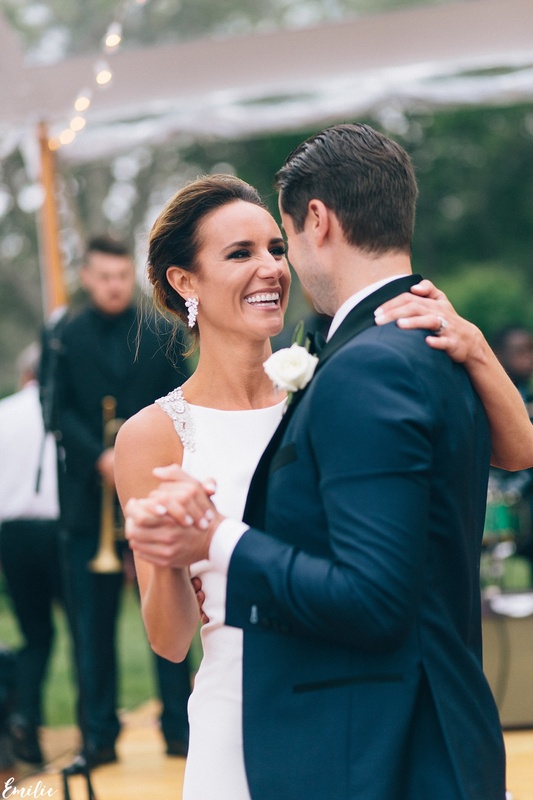 The couple will travel to South Africa in August for their honeymoon, first stopping in Cape Town before enjoying Stellenbosch’s wine country, a week-long safari in Kruger National Park and ultimately ending up off of the coast of Mozambique, on Benguerra Island. 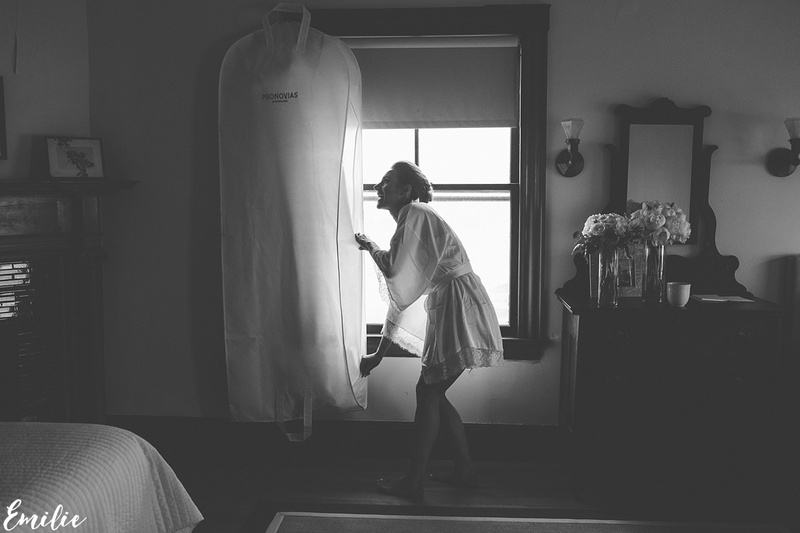 They currently reside in the West Village of New York City.